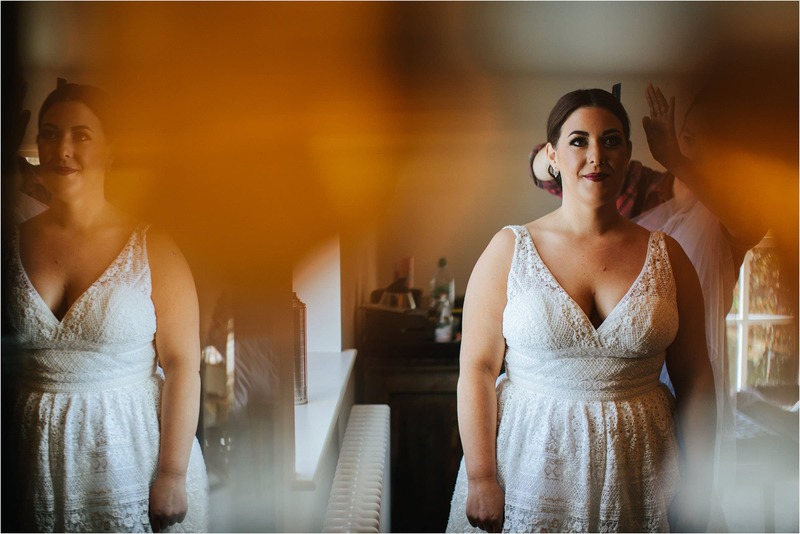 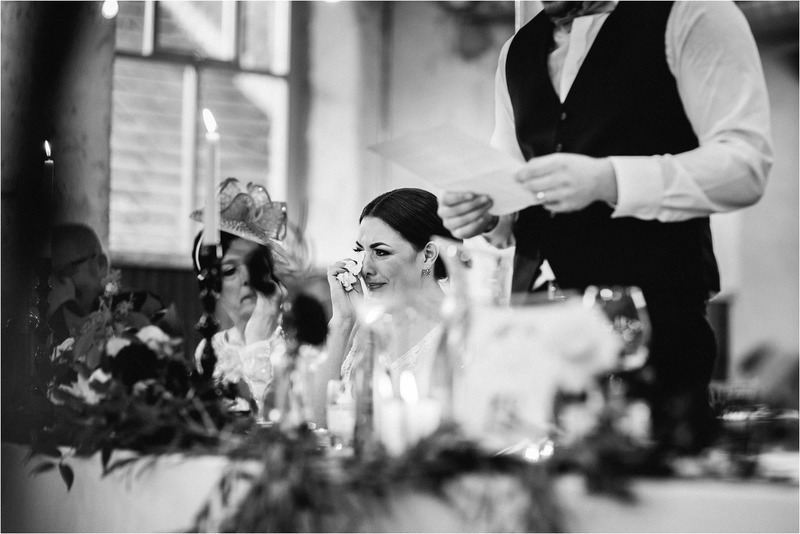 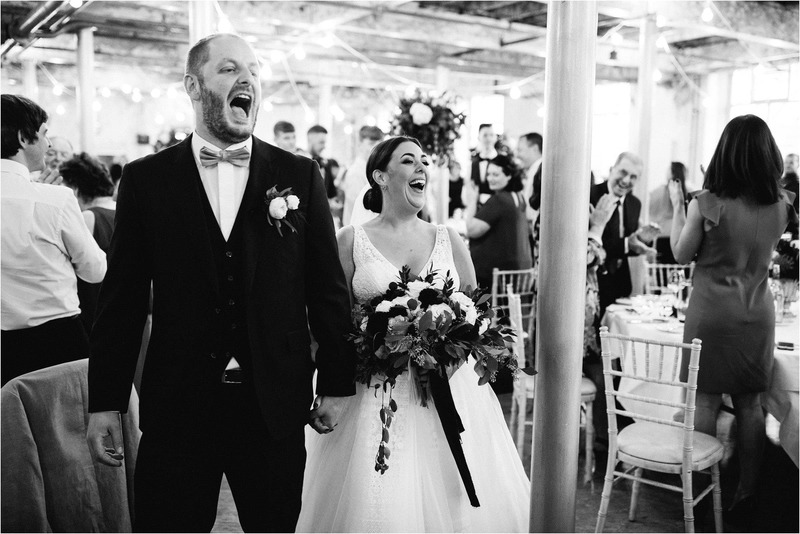 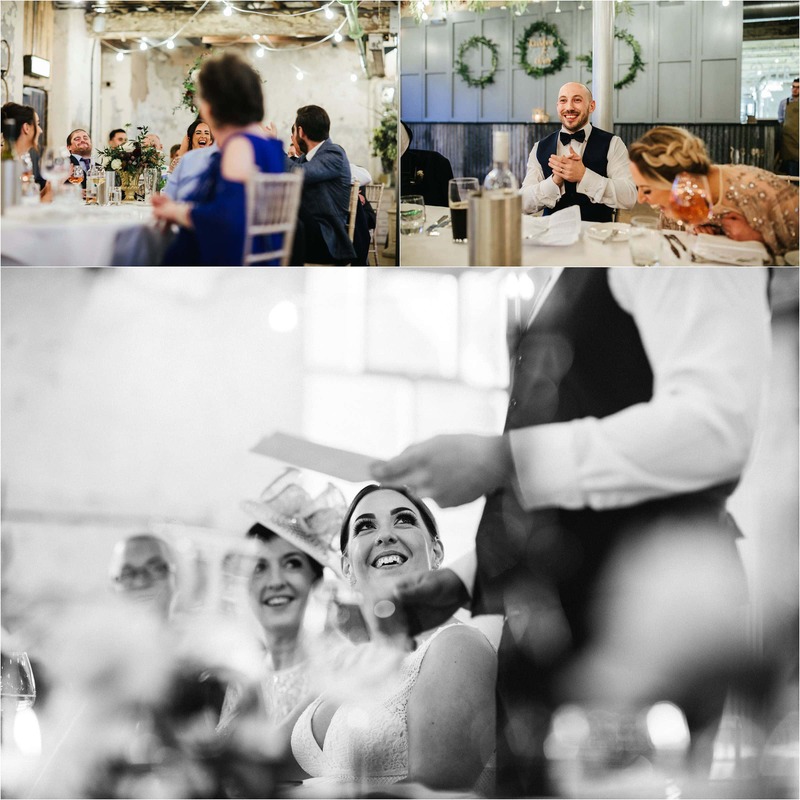 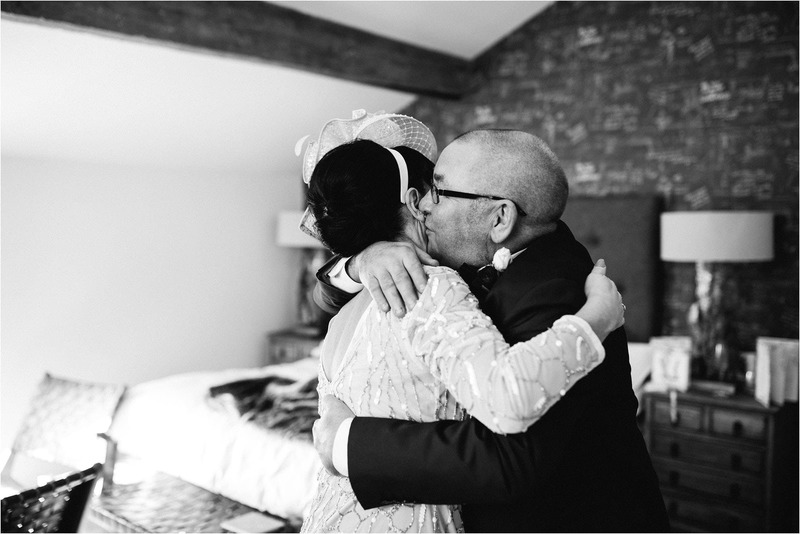 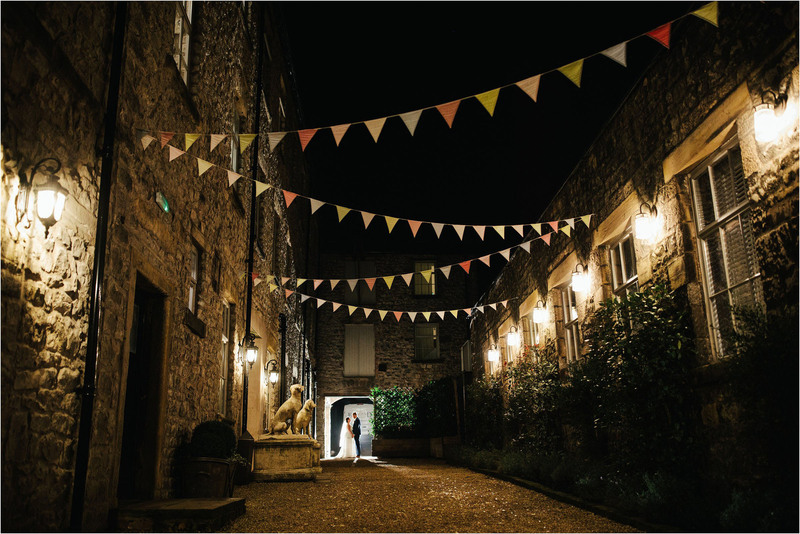 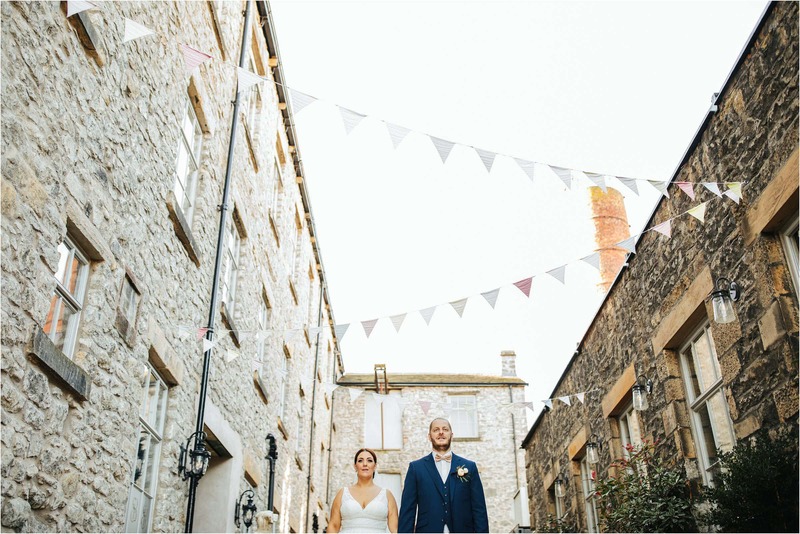 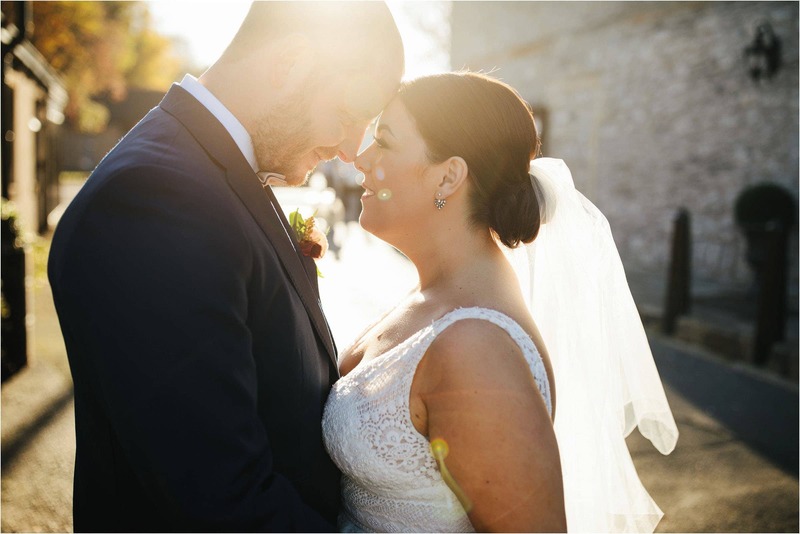 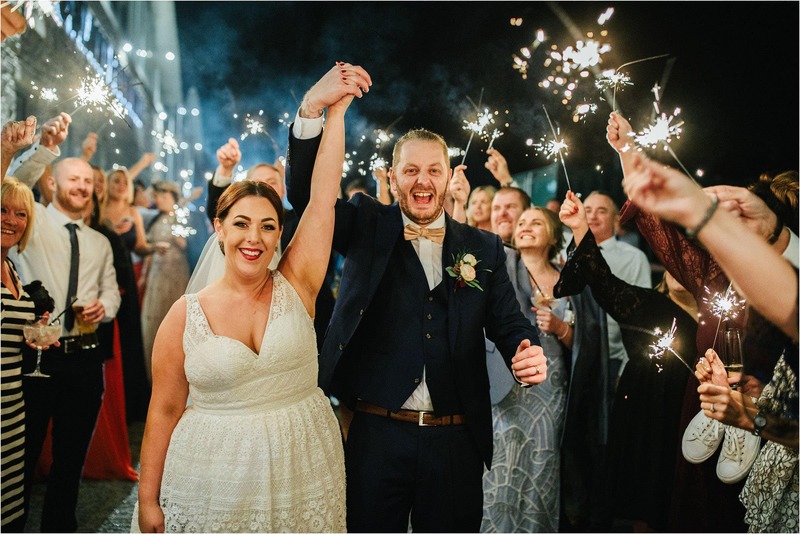 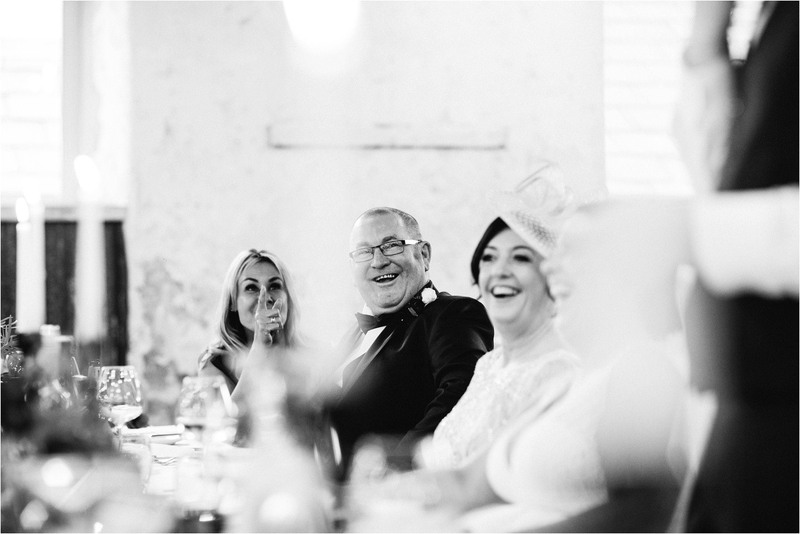 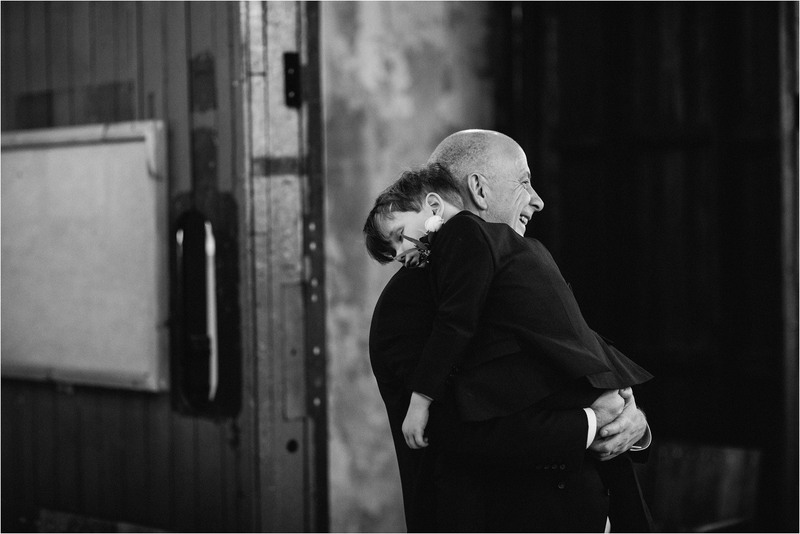 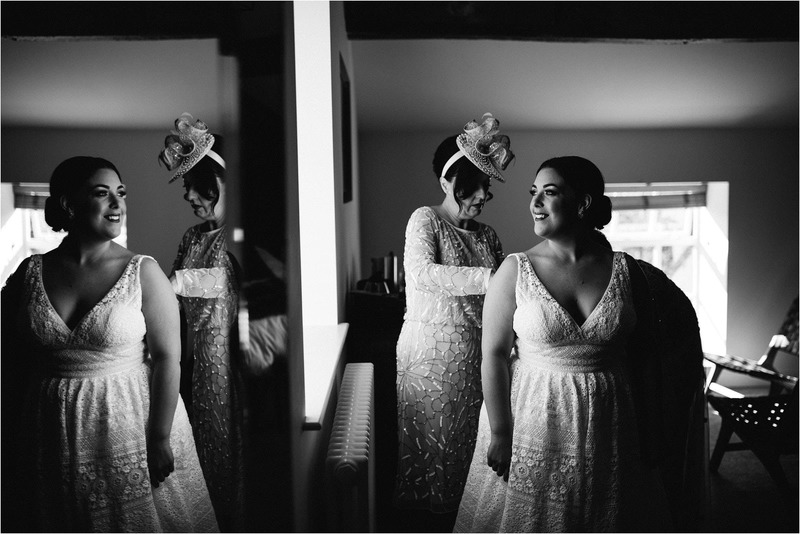 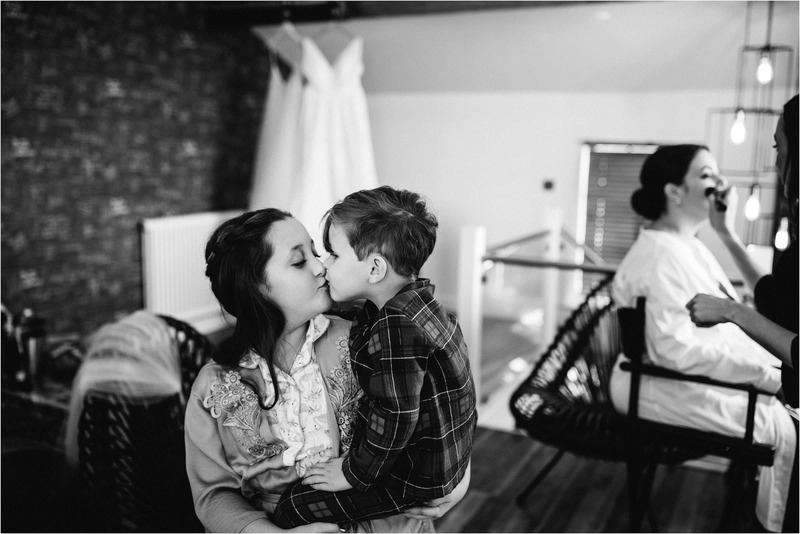 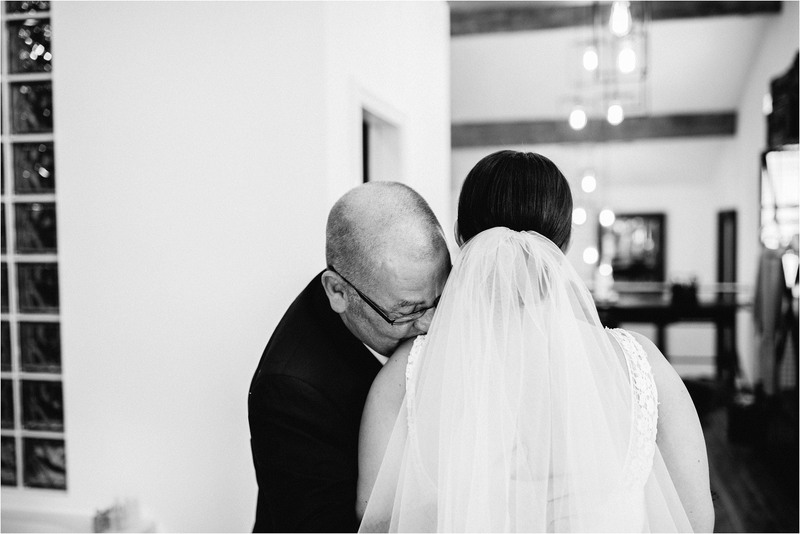 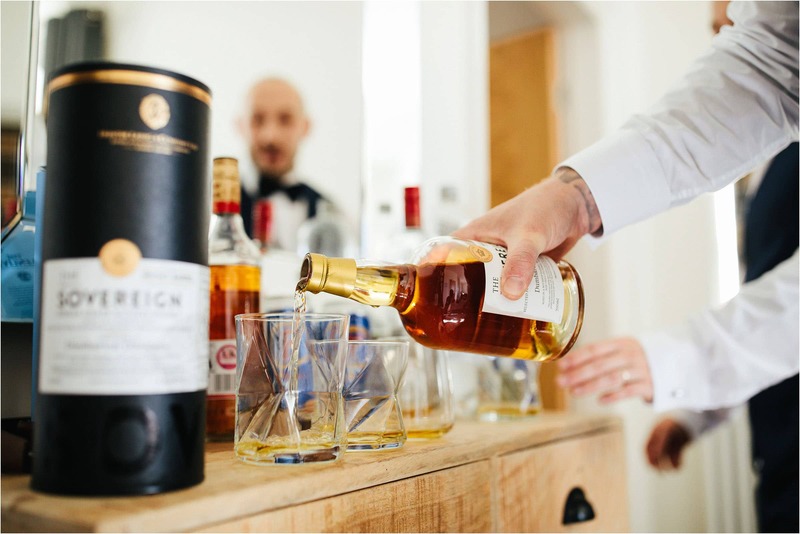 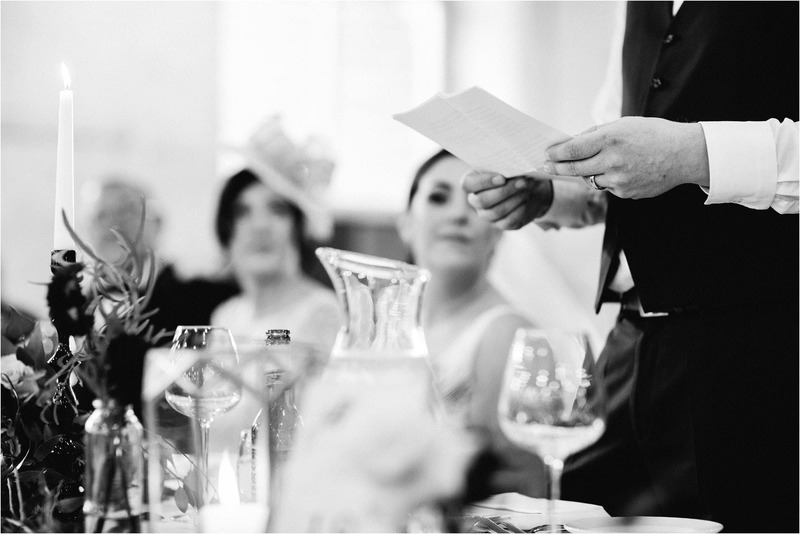 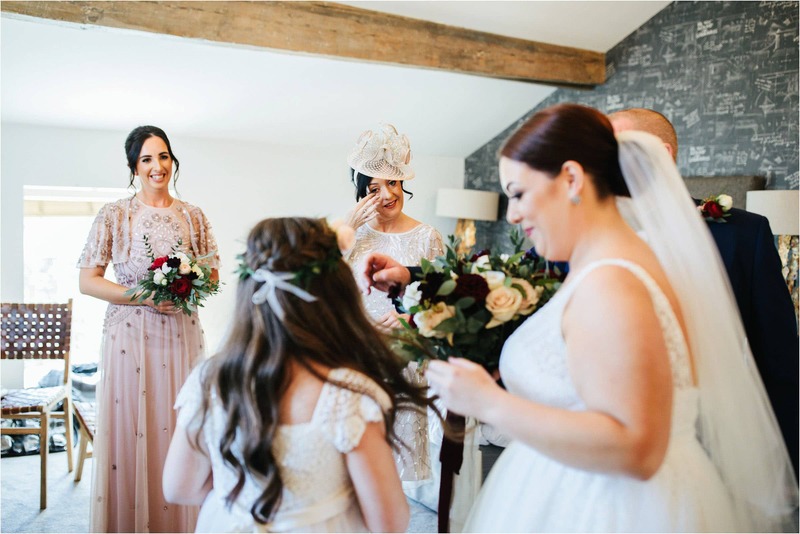 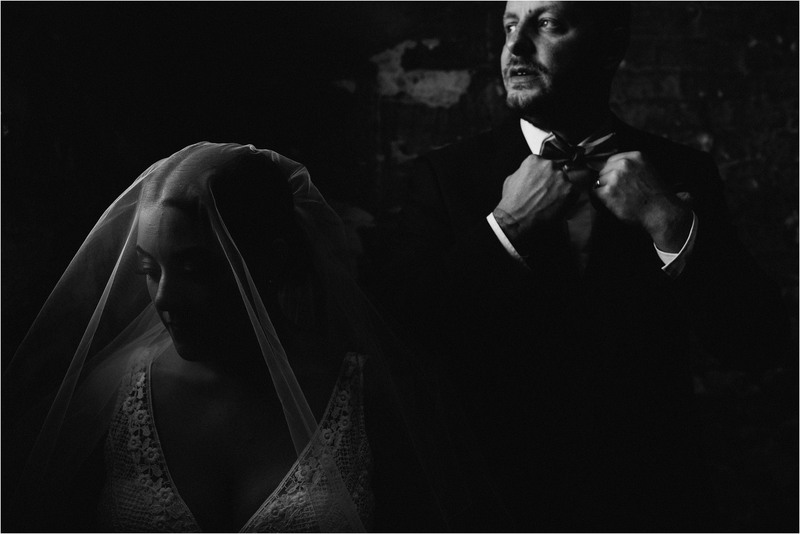 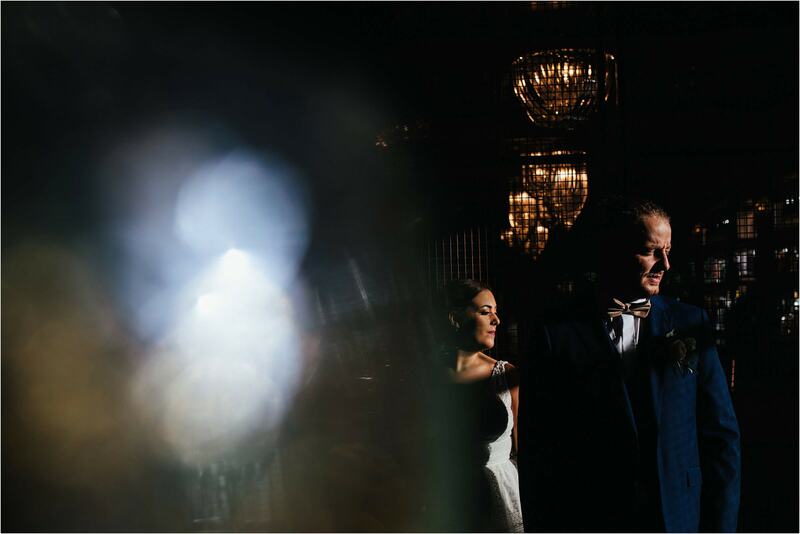 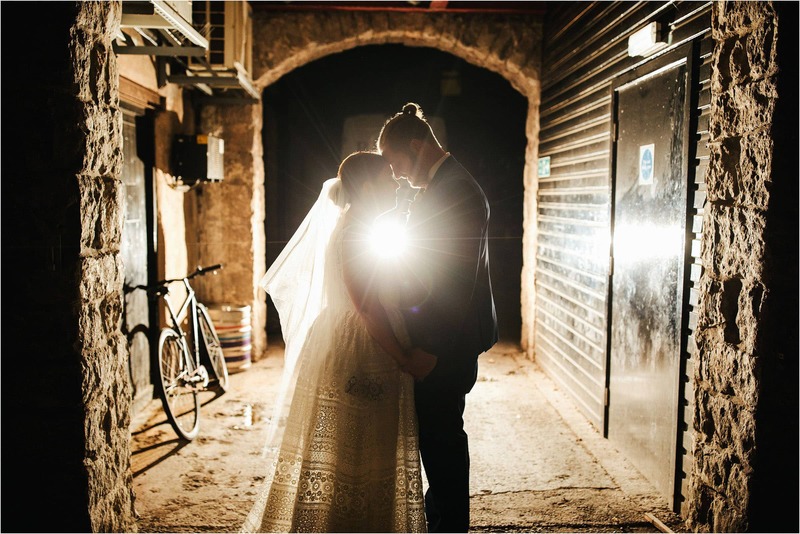 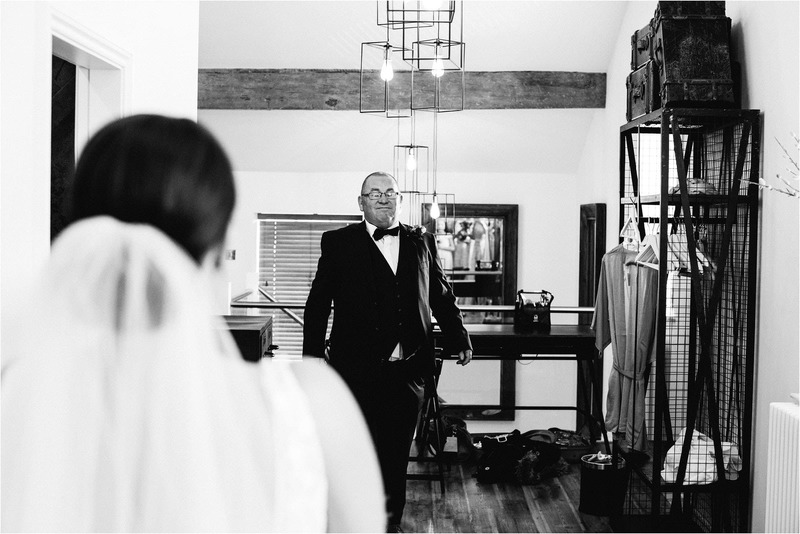 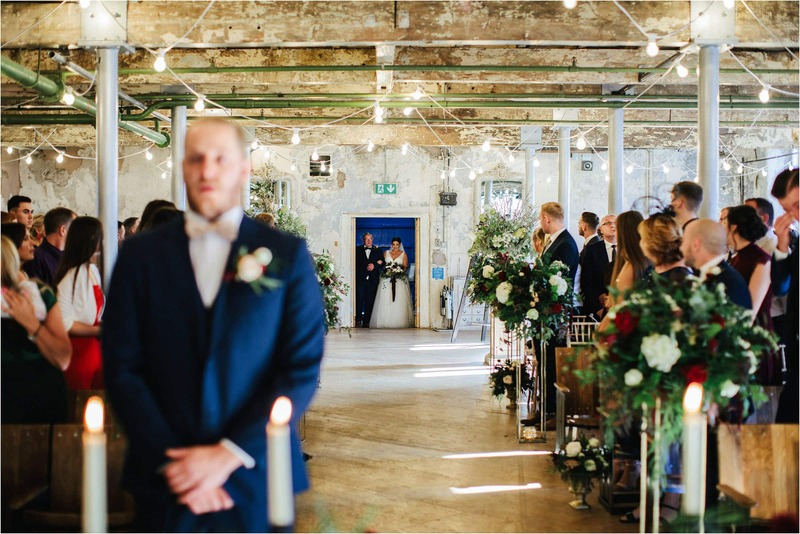 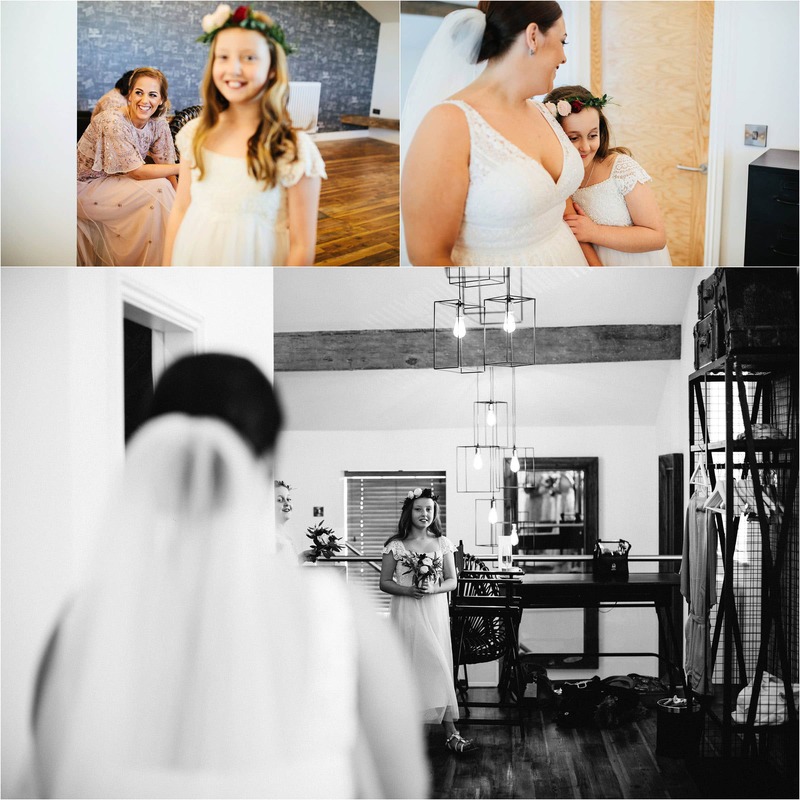 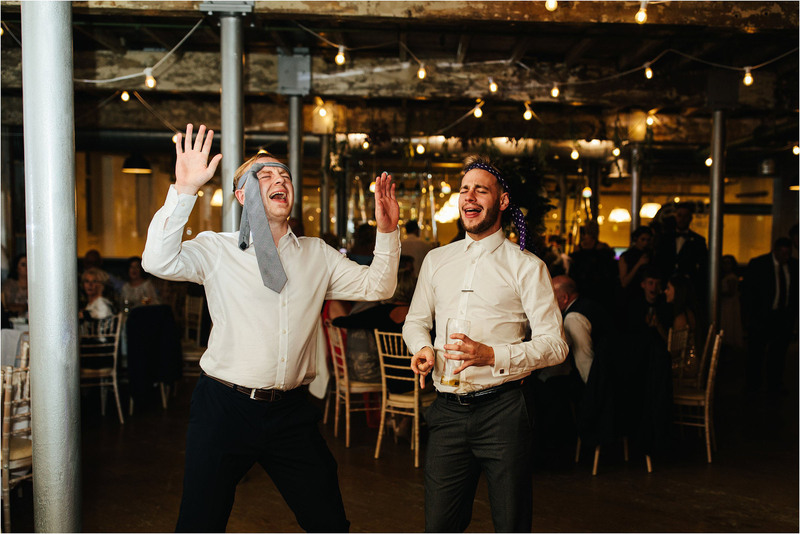 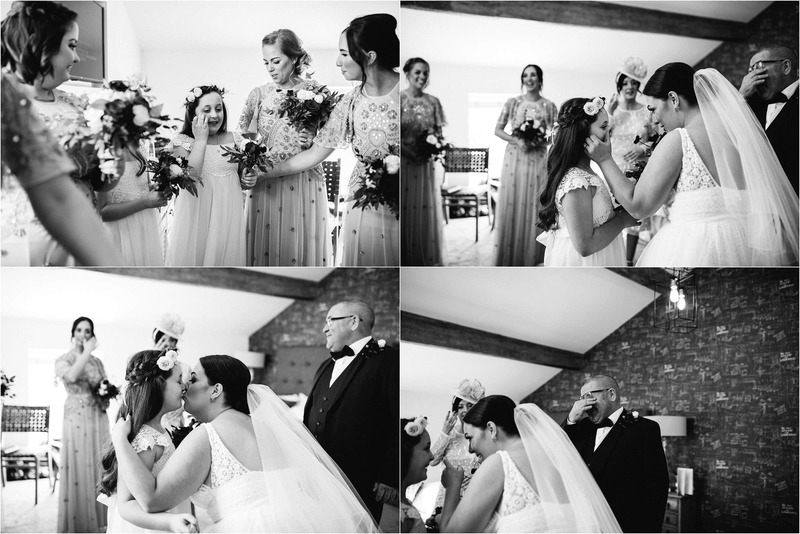 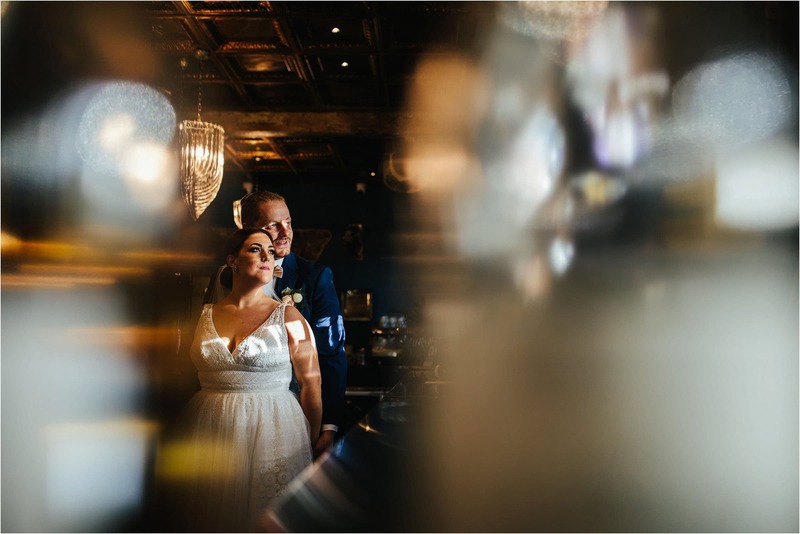 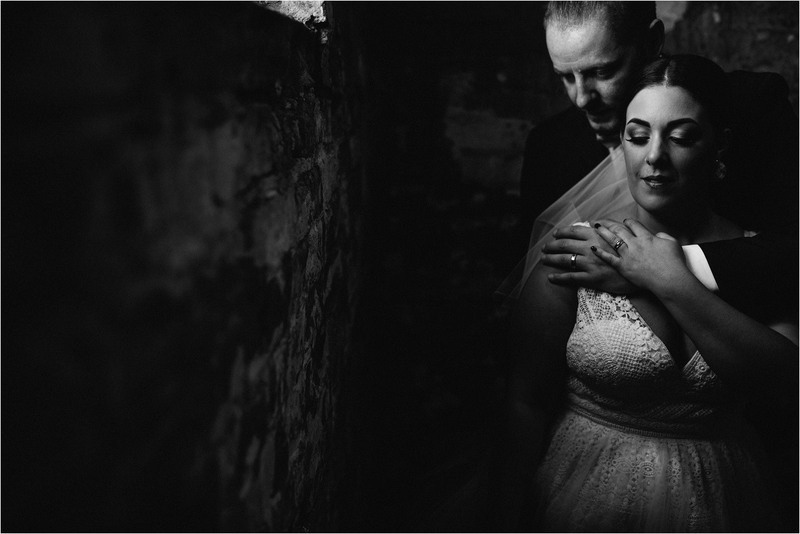 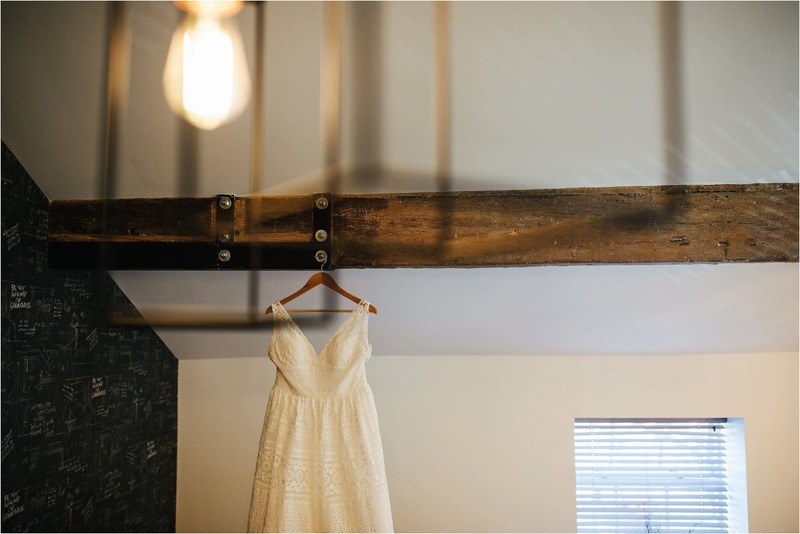 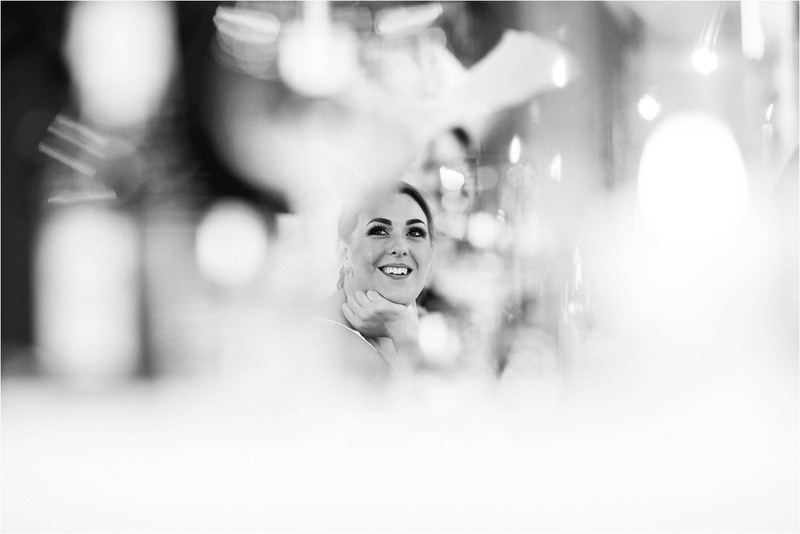 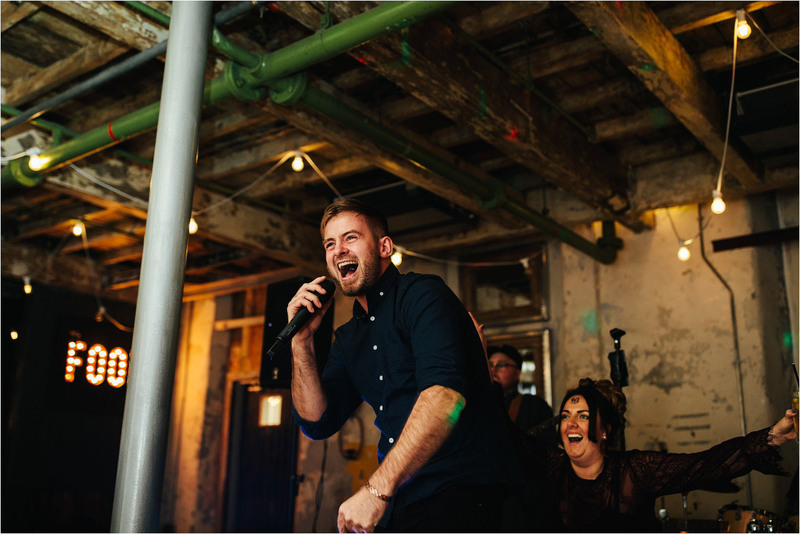 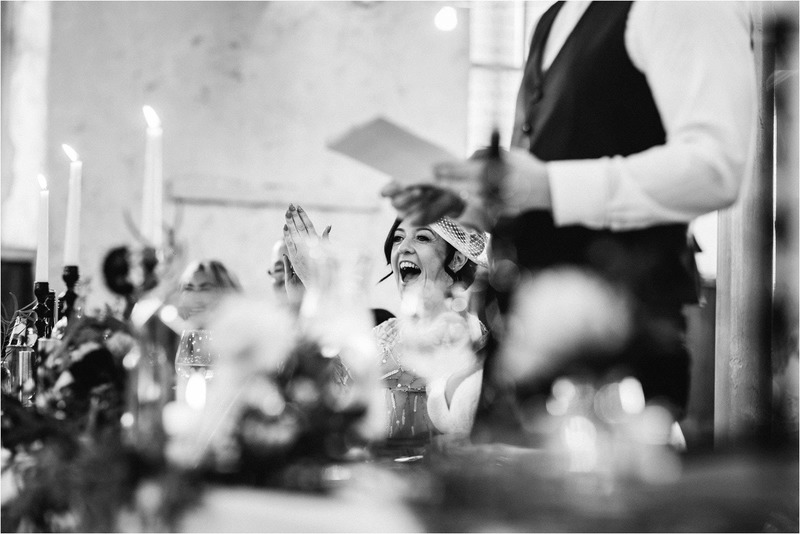 This is the visual story of Chris and Kirsten’s wedding at Holmes Mill. 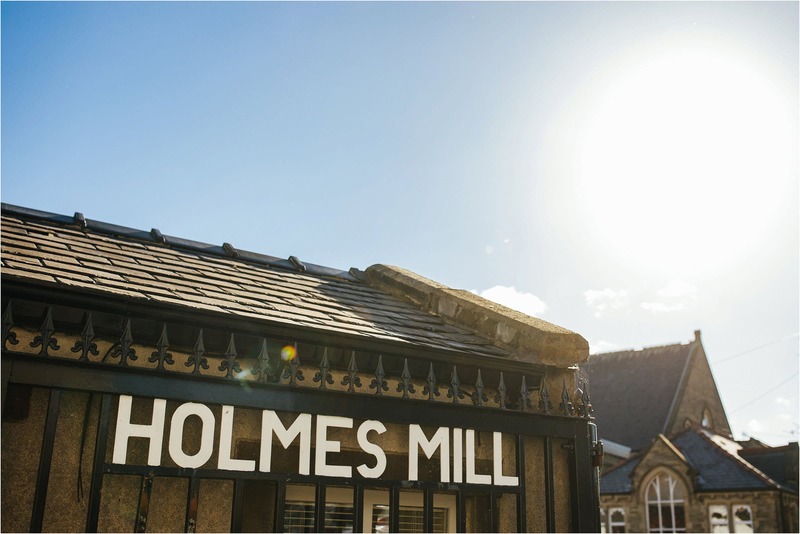 I arrived at Holmes Mill on a beautiful sunny and crisp Octobers morning, raring to get stuck in to this new venue. 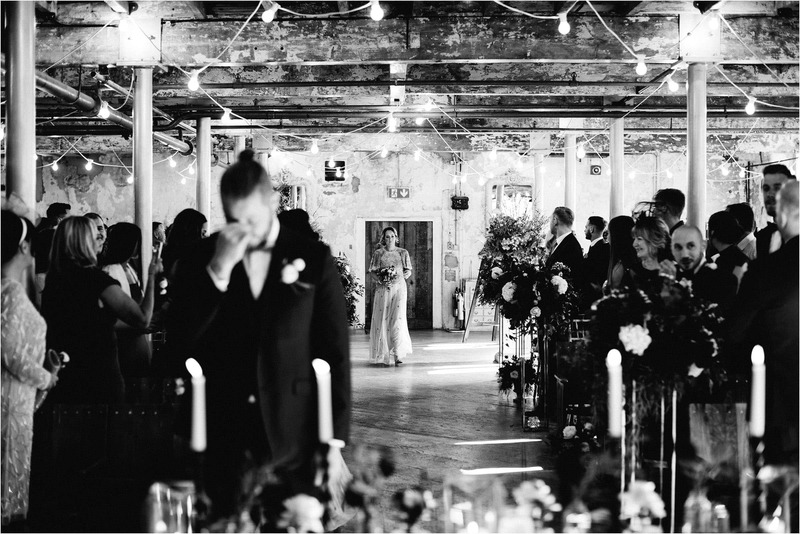 As I arrived I remember being immediately blown away by this venue, which is fairly new to the wedding scene. 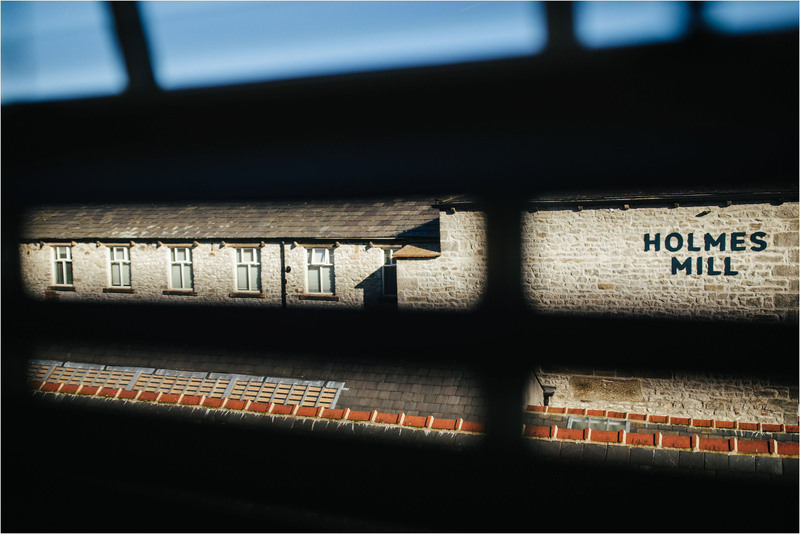 Clues in the word, its a Mill, with strong links to our industrial past. 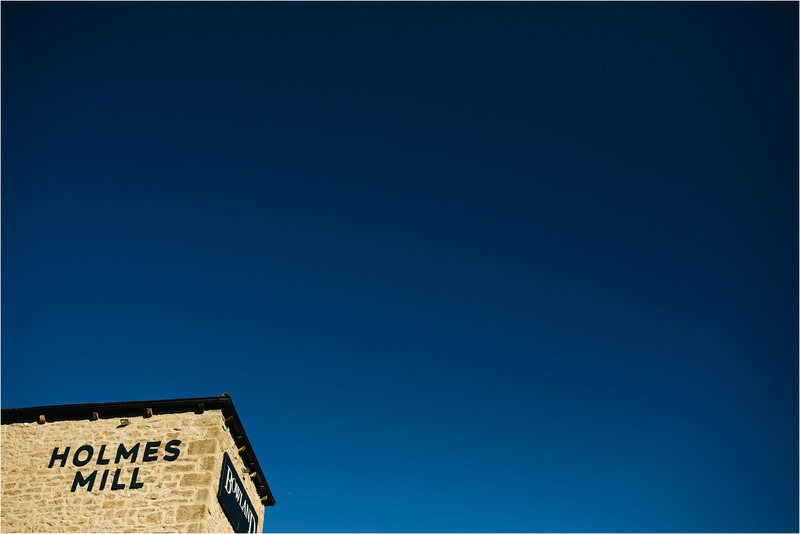 It’s now a hotel, brewery, food hall, and wedding venue. 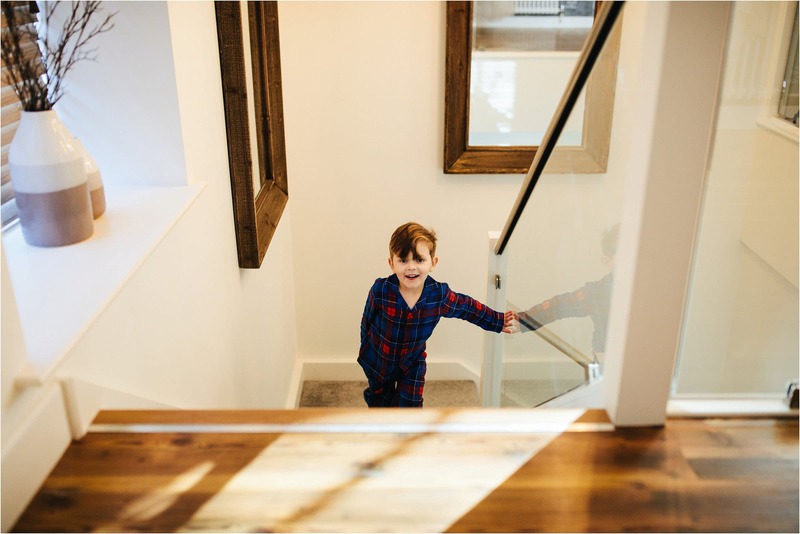 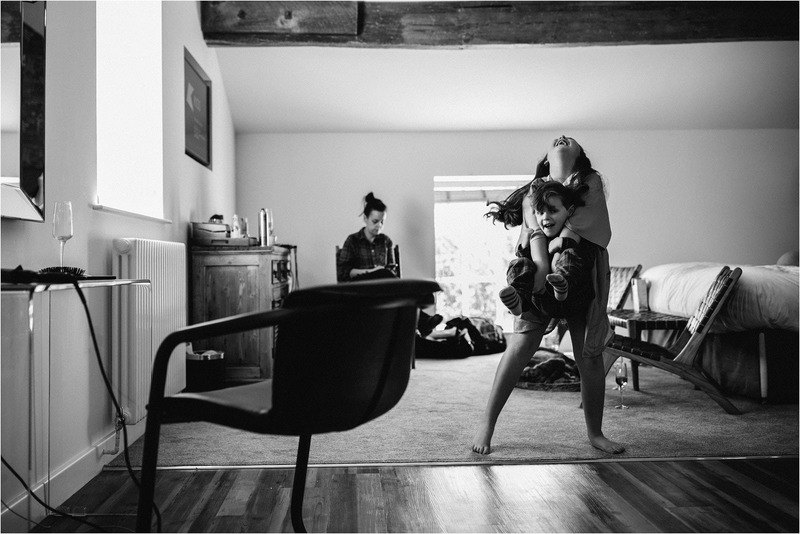 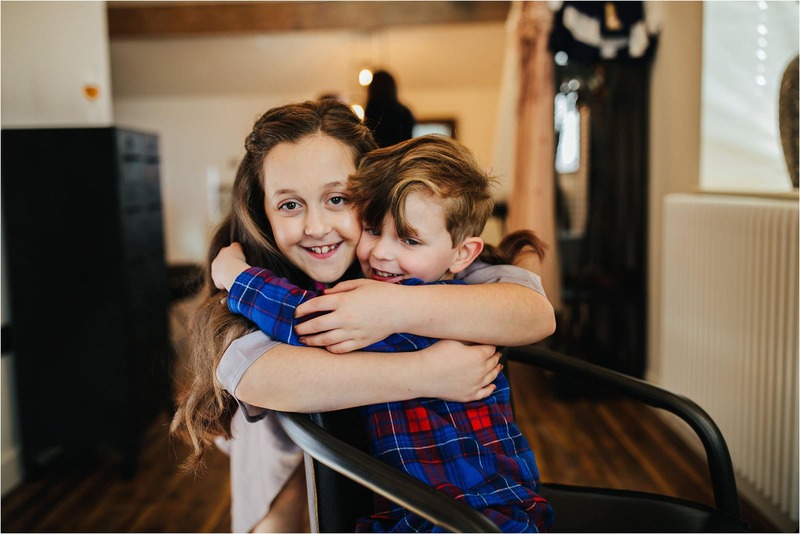 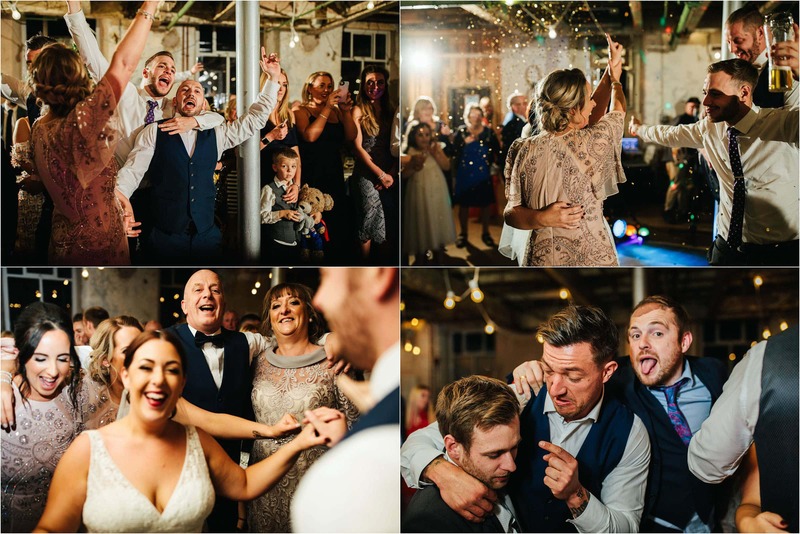 It pretty much ticks all the boxes a photographer could ever want ticking. 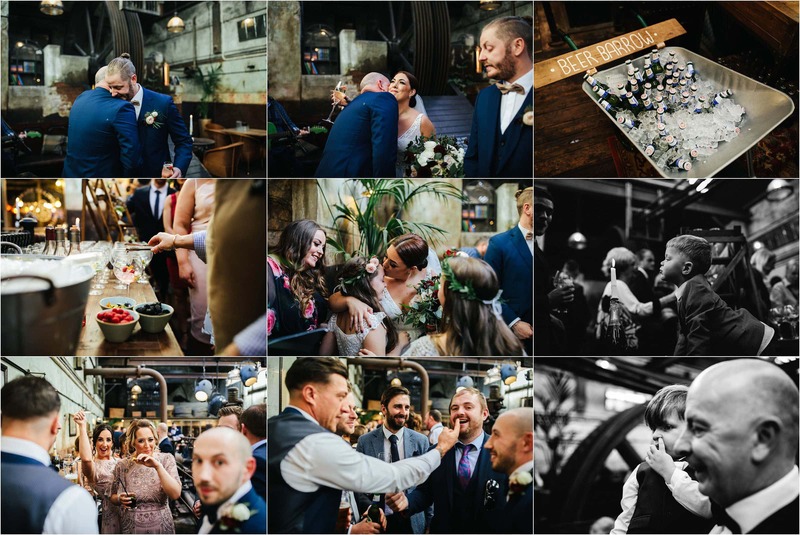 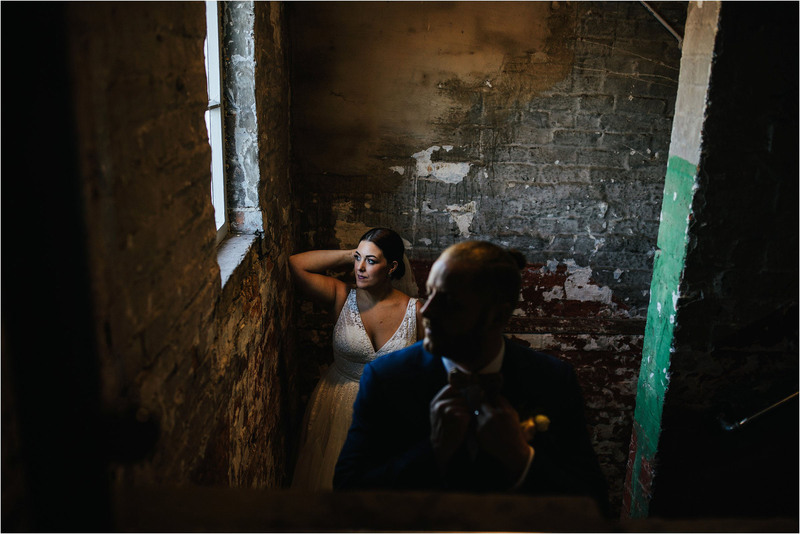 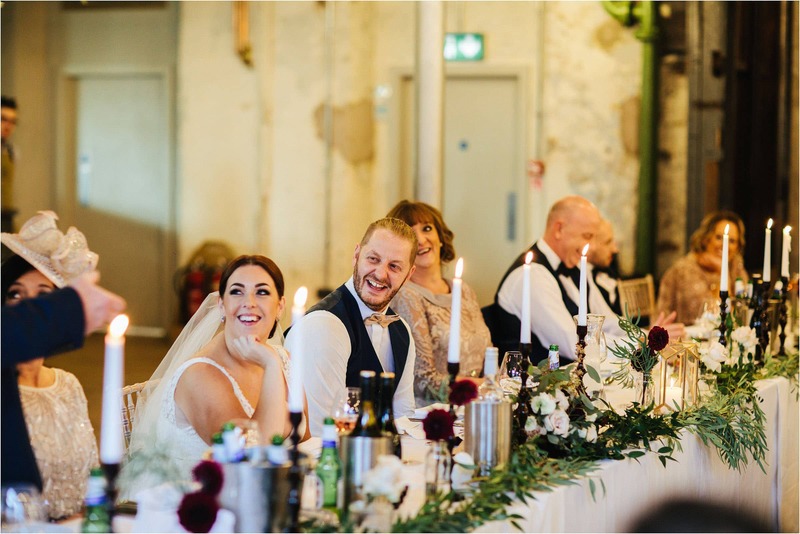 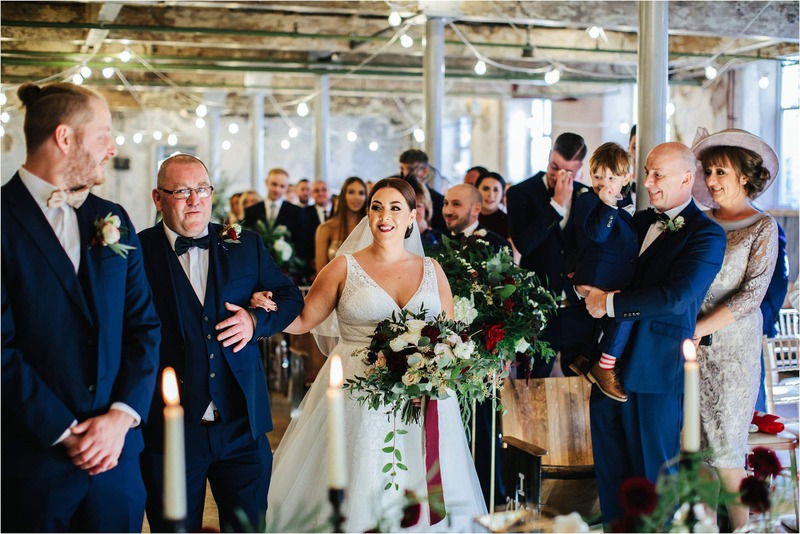 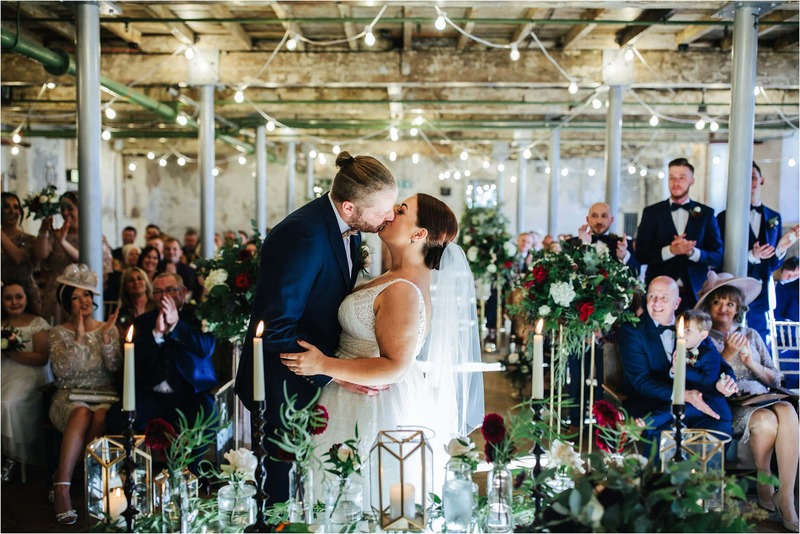 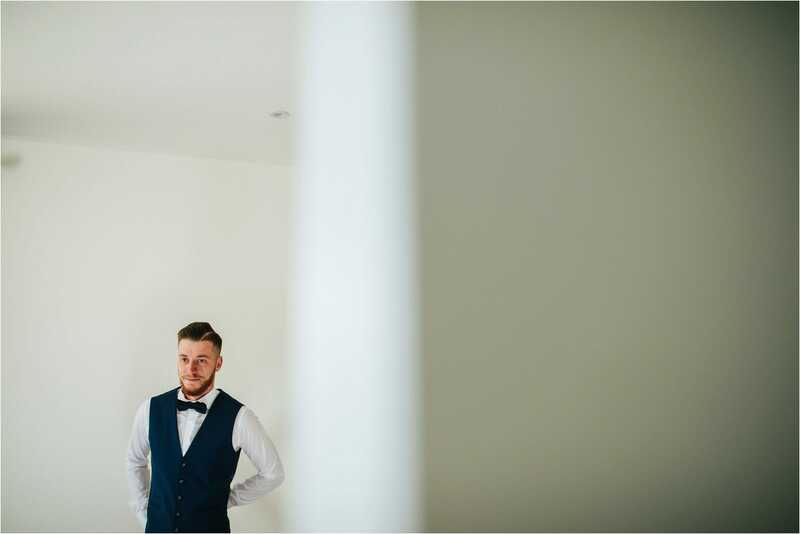 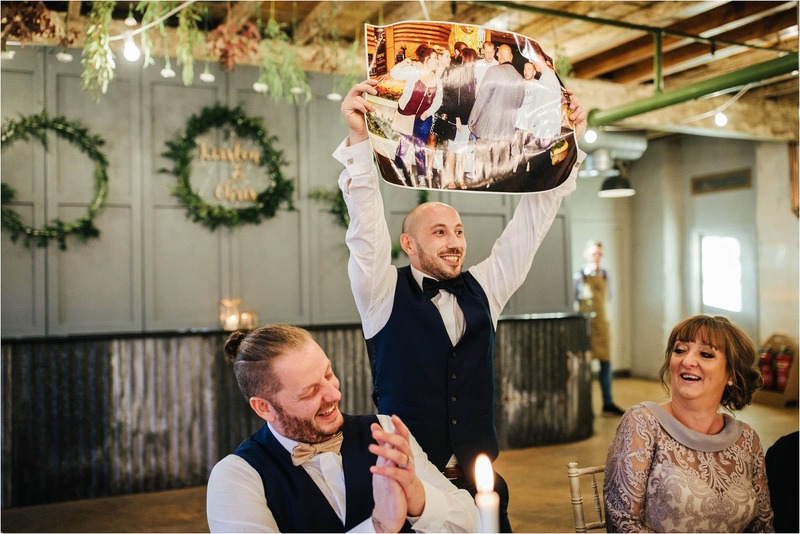 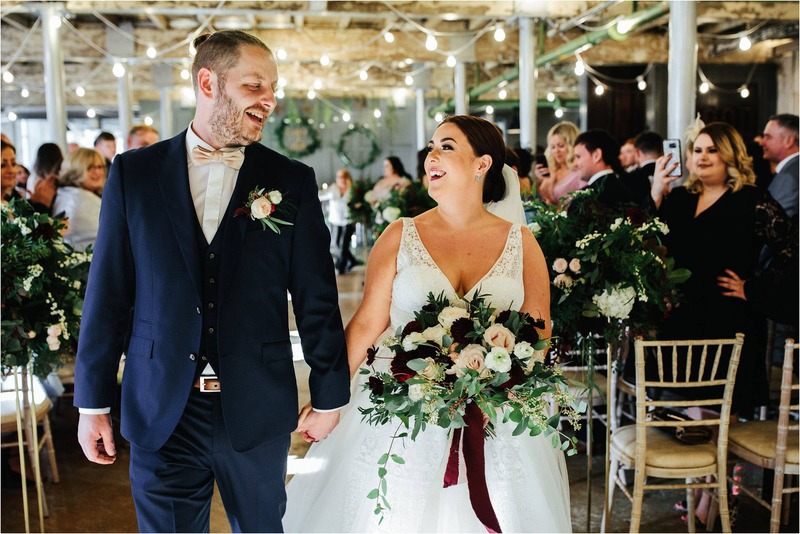 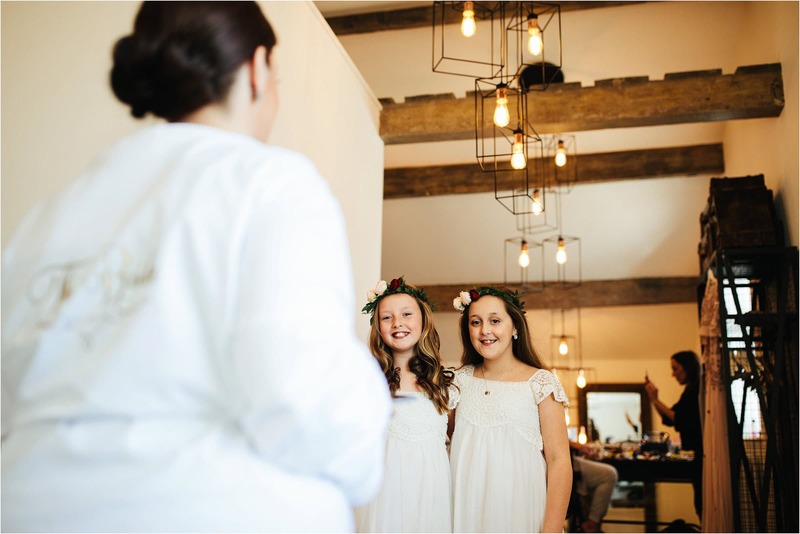 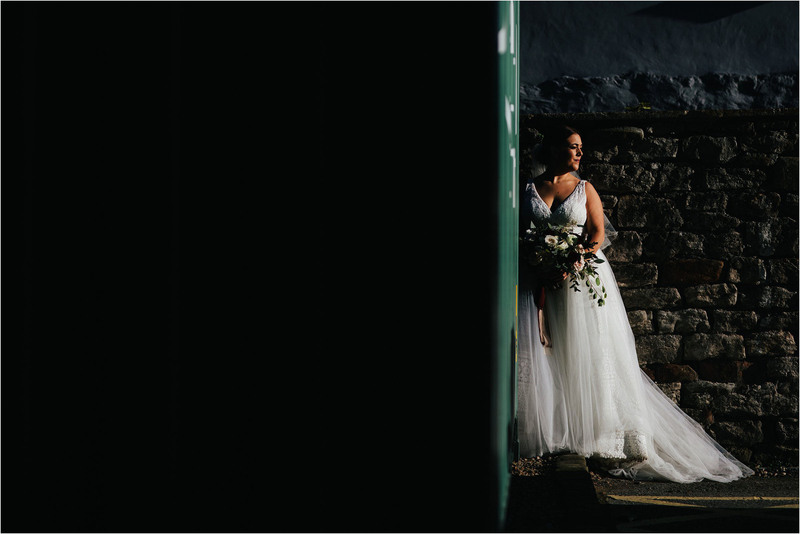 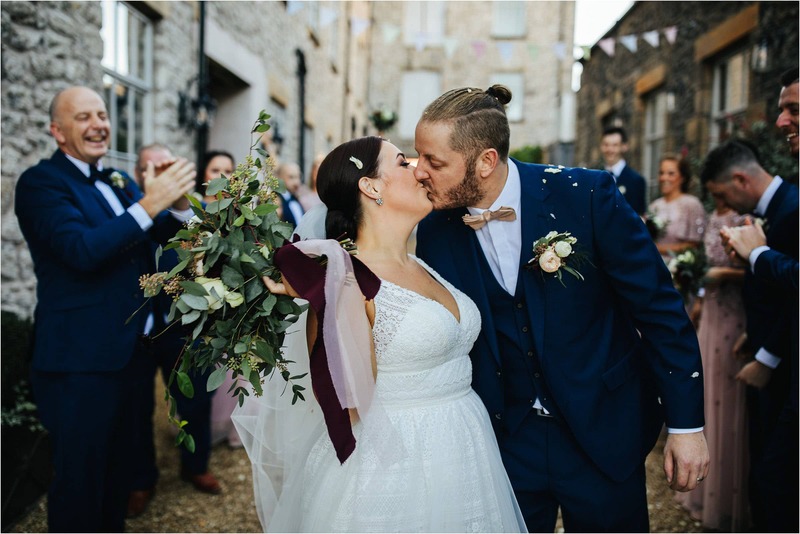 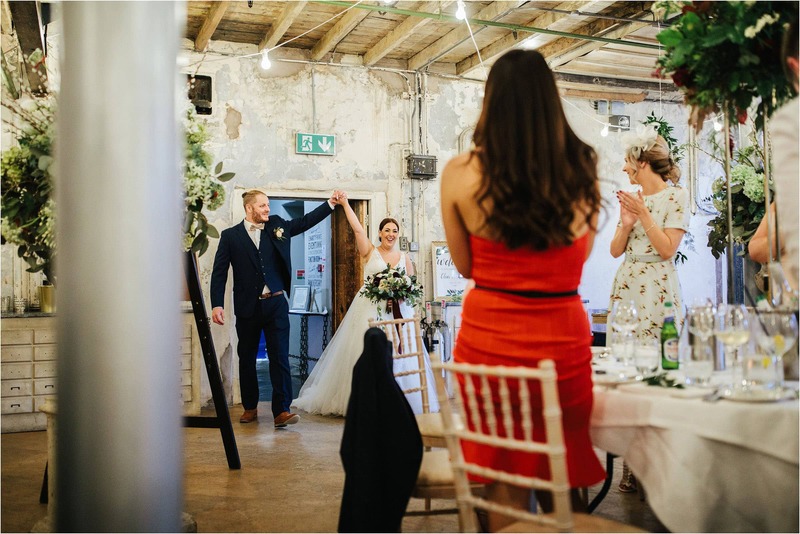 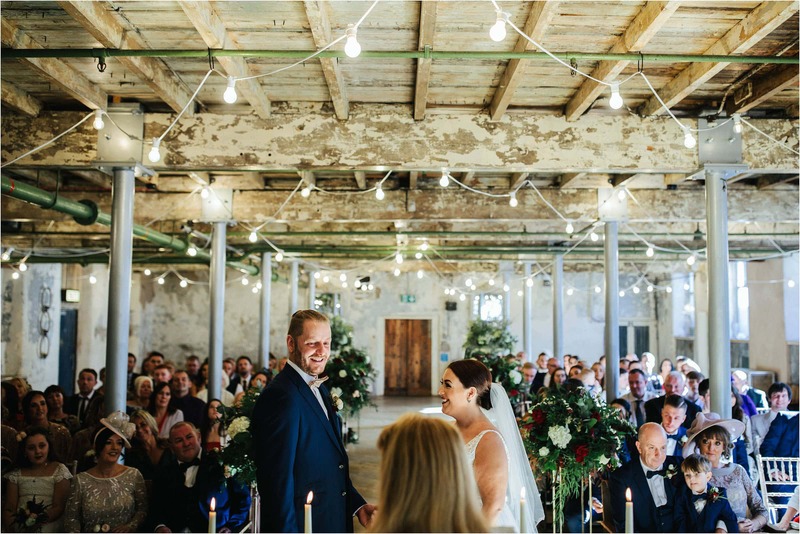 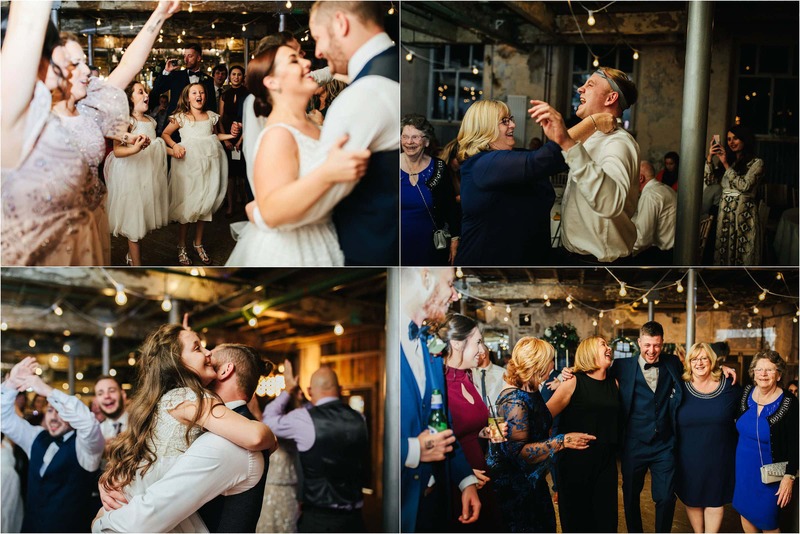 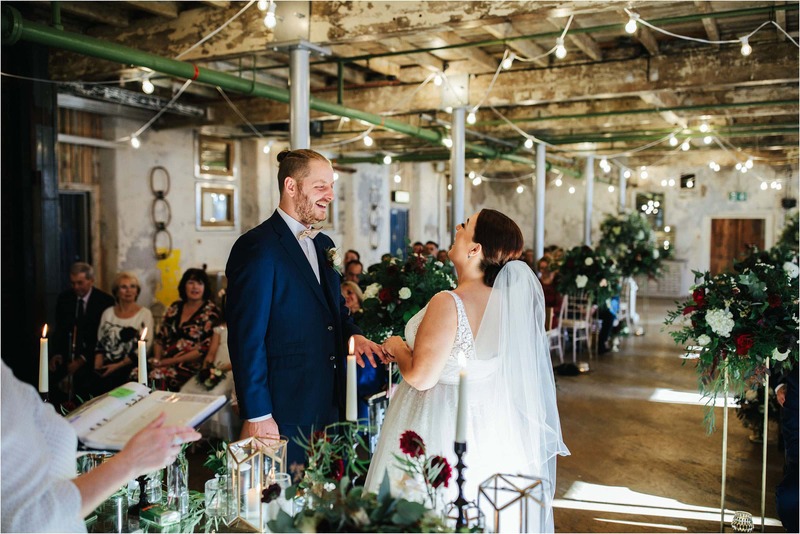 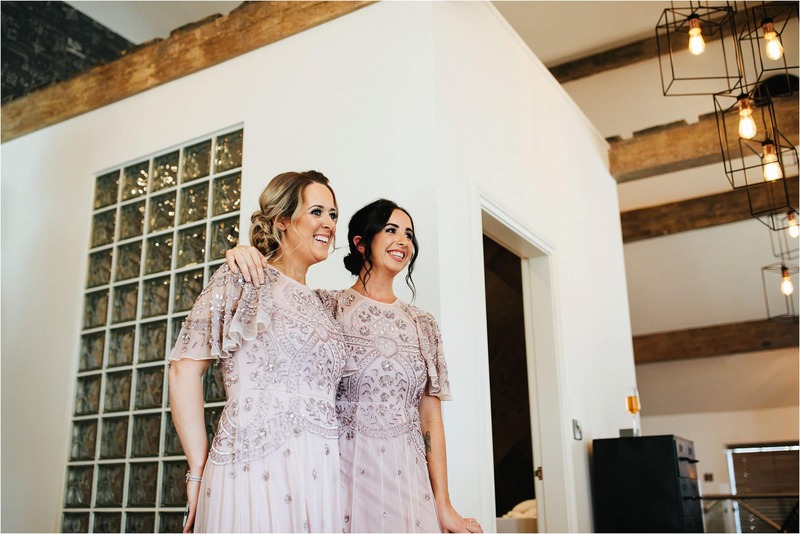 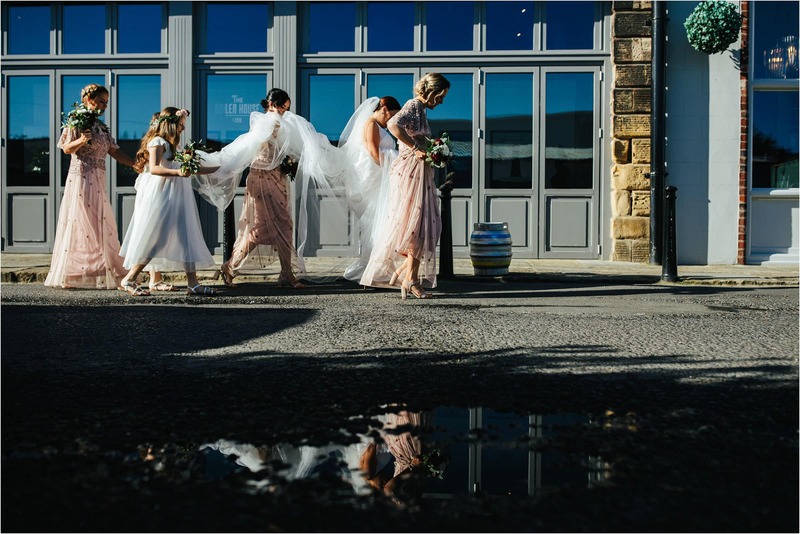 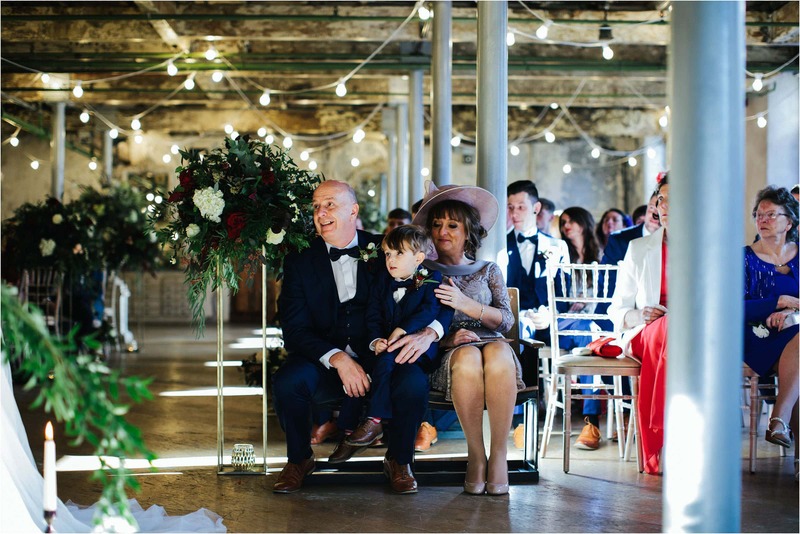 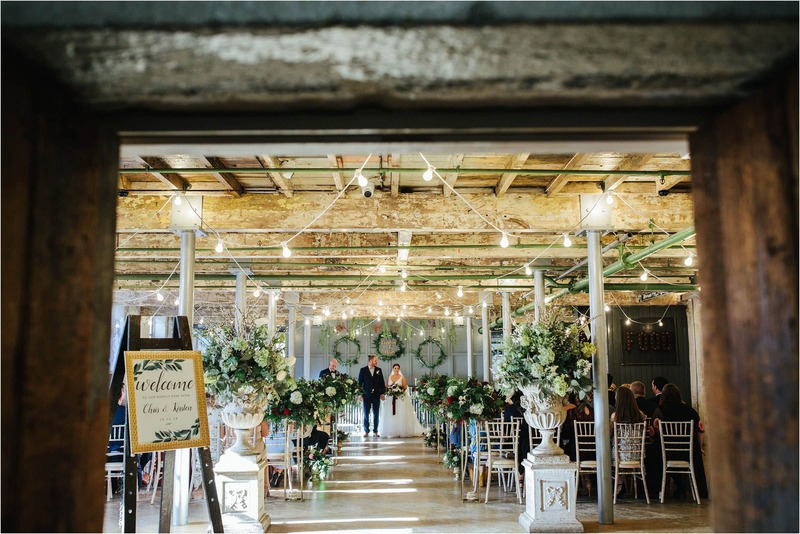 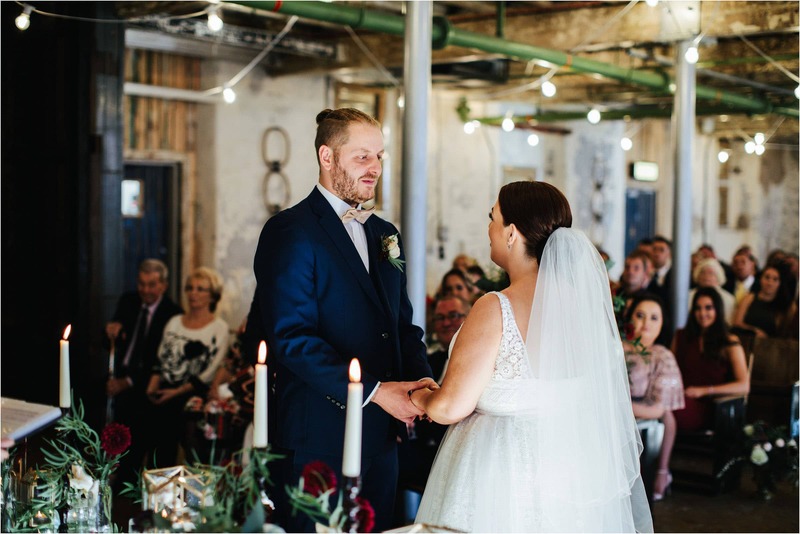 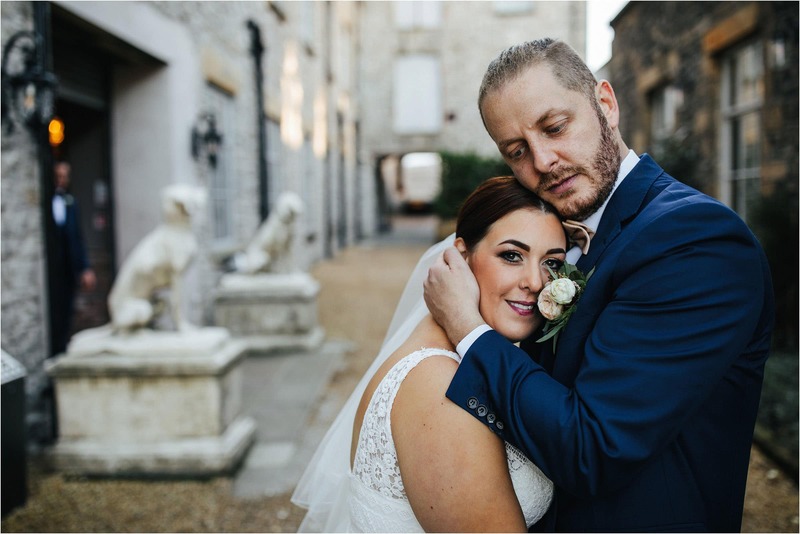 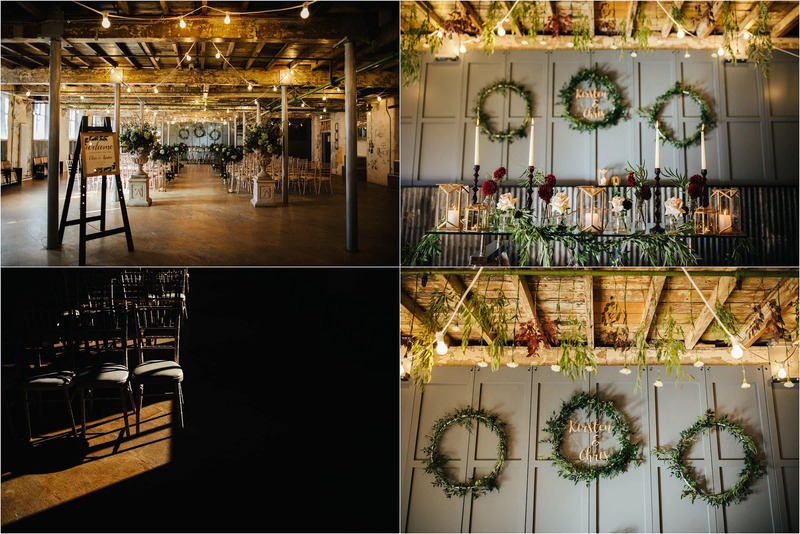 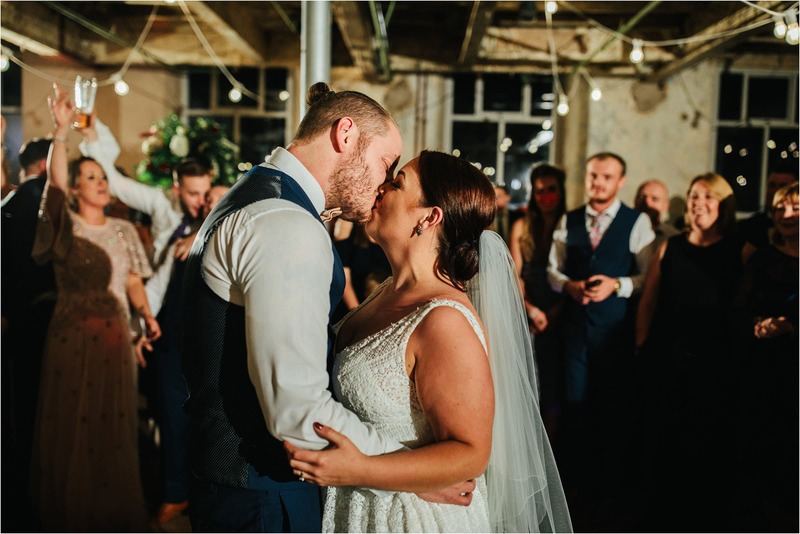 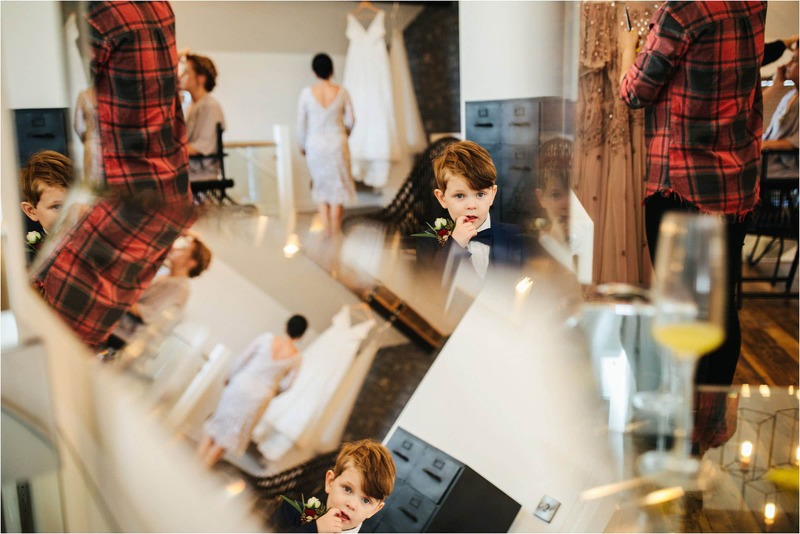 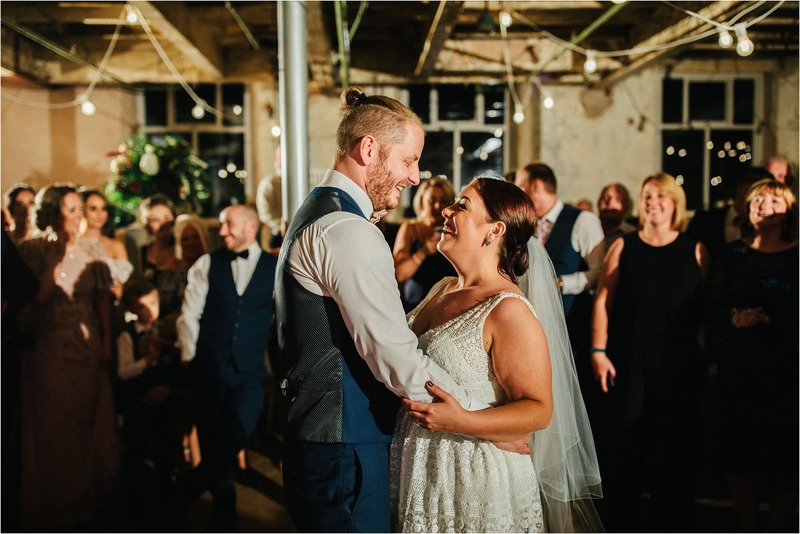 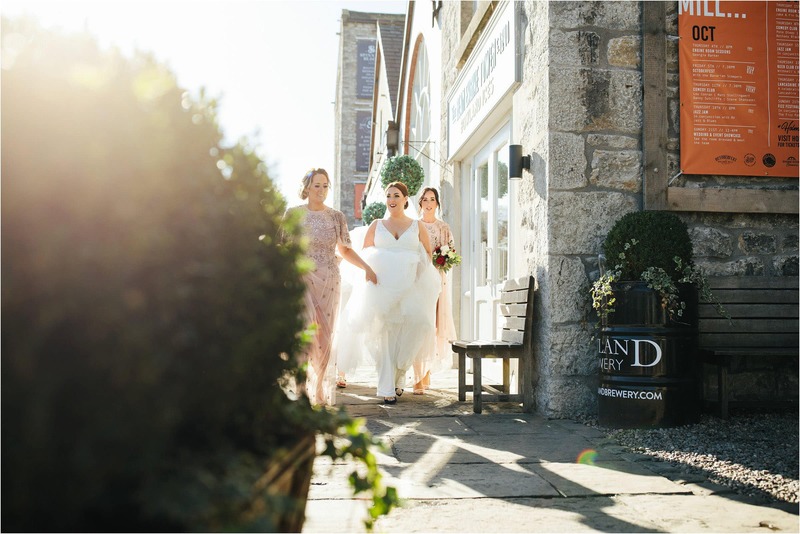 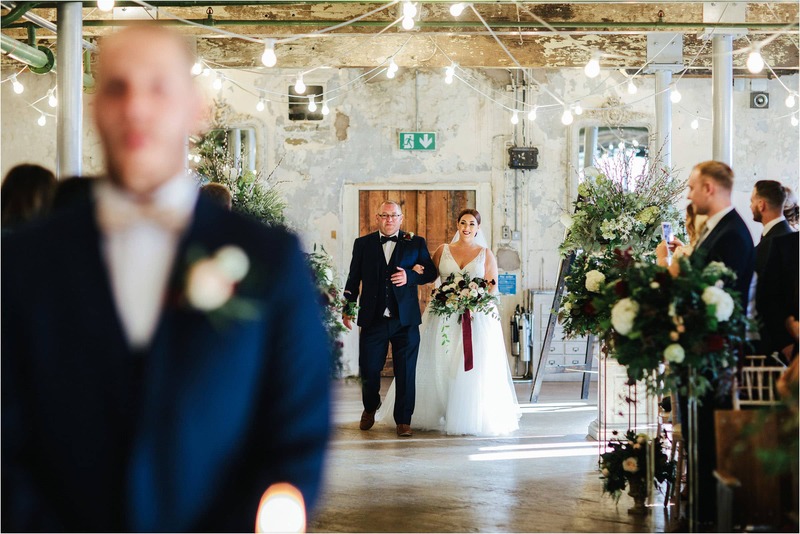 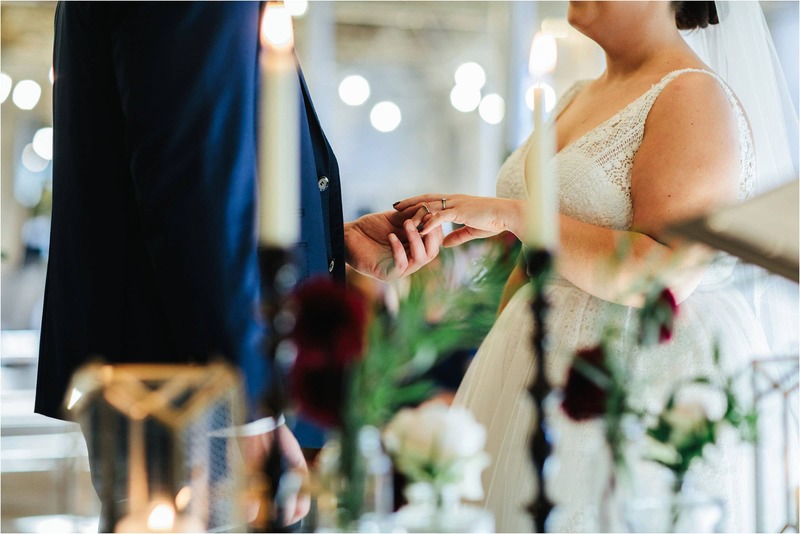 Stunning interior with huge open plan spaces, awesome windows light, rustic backdrops, and cool outside areas to shoot bride and groom portraits. 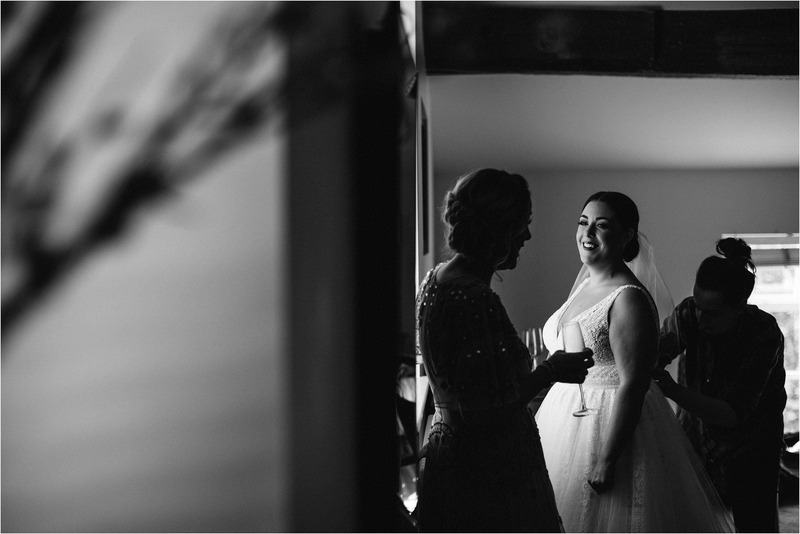 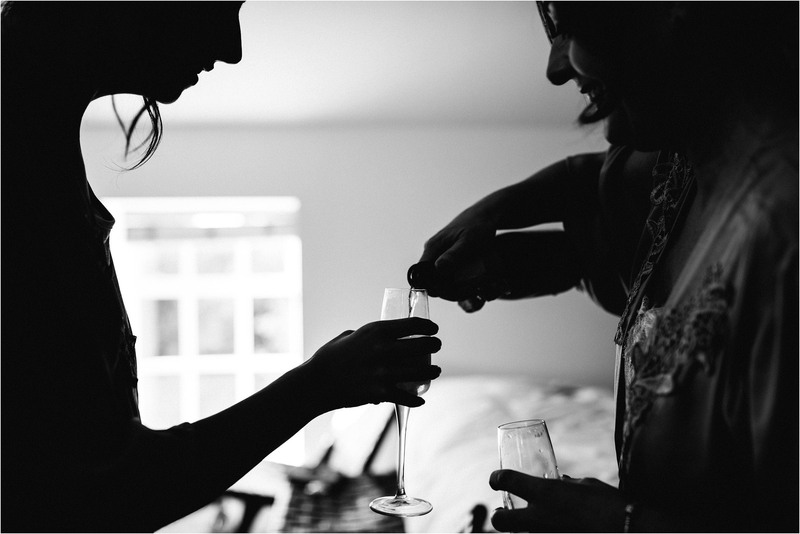 As usual my day started with bridal prep and Kirsten and the girls were in fine form, laughing and joking, swigging on fizz. 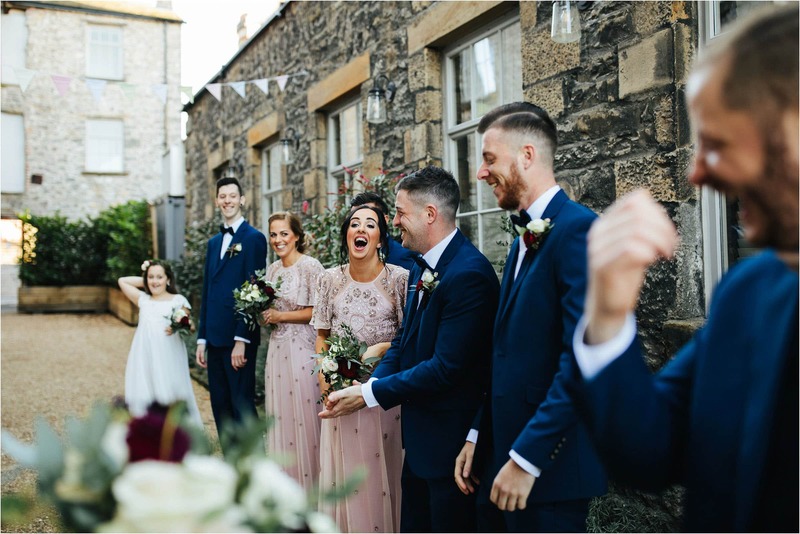 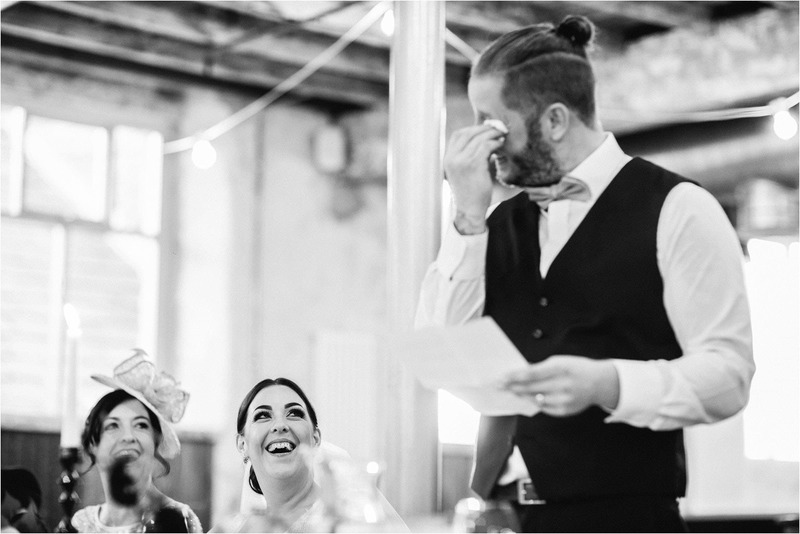 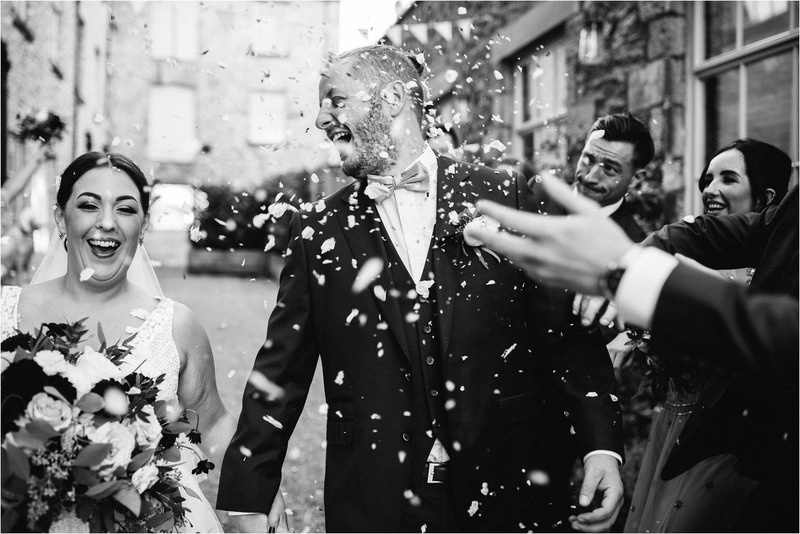 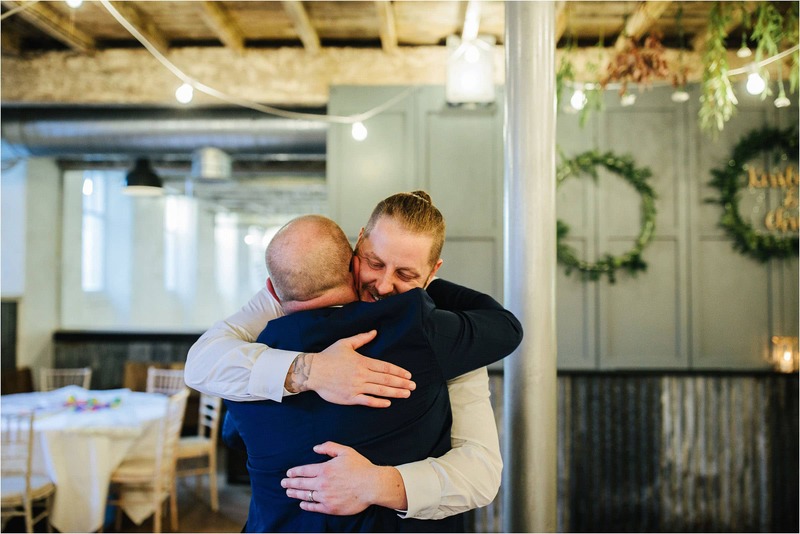 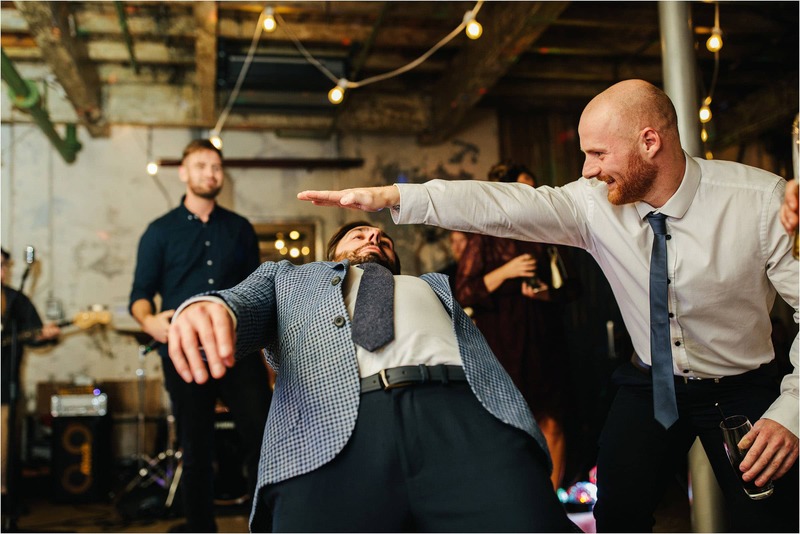 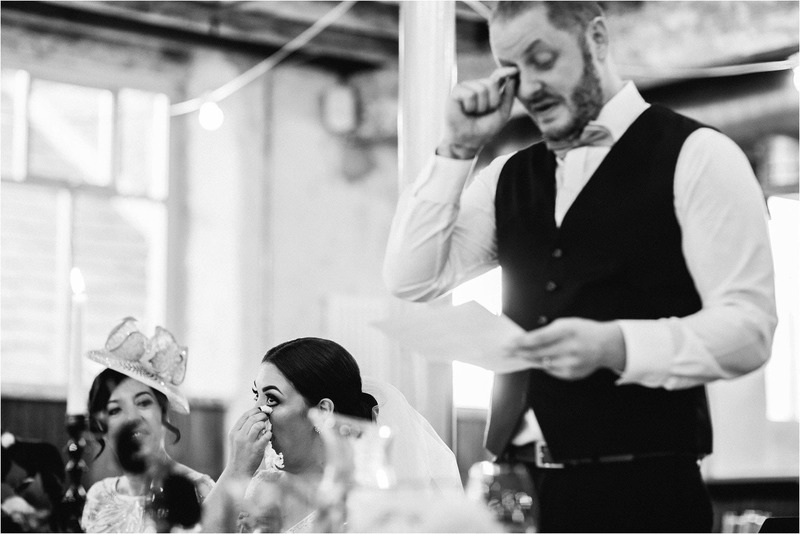 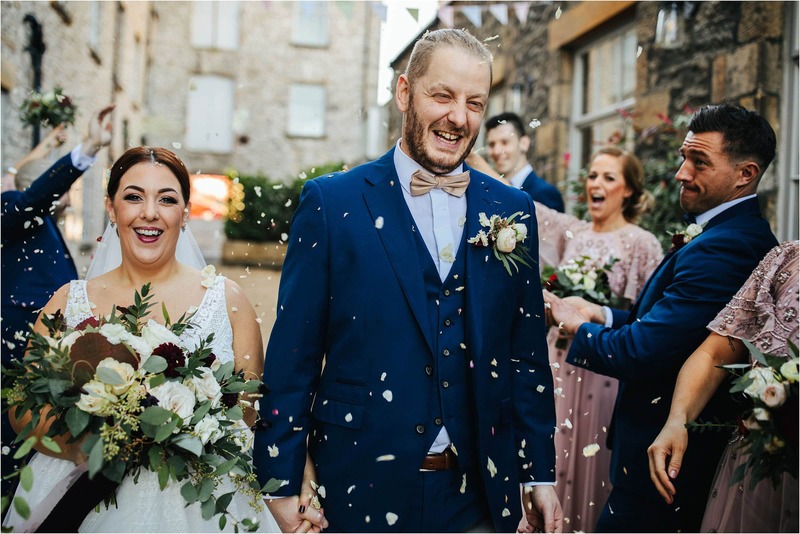 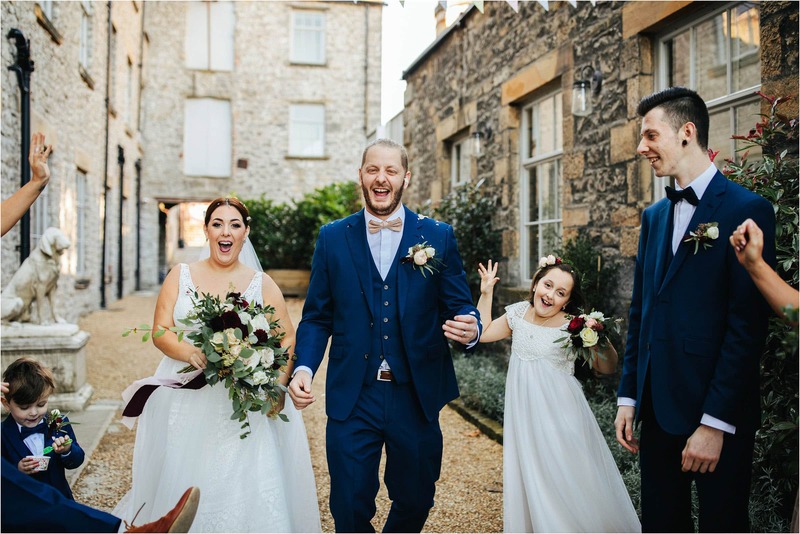 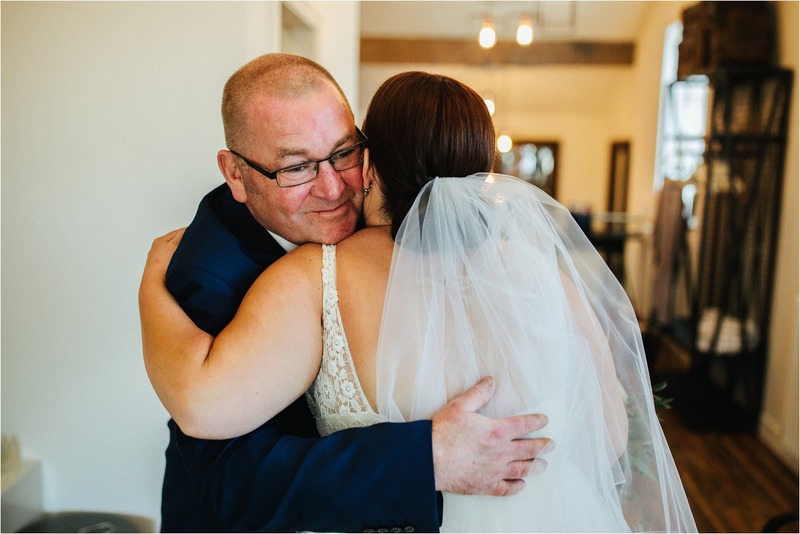 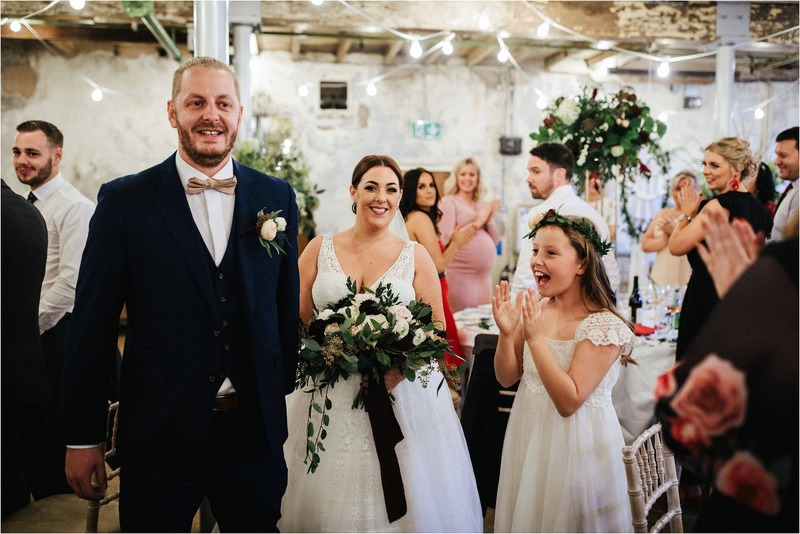 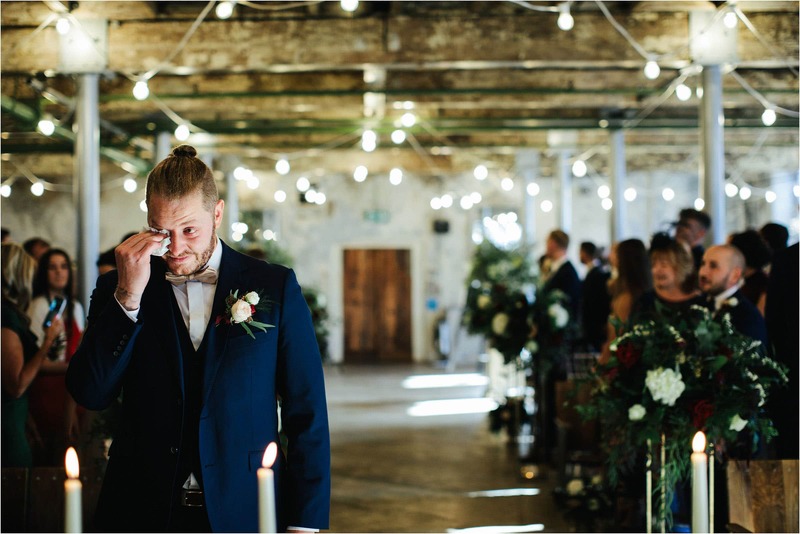 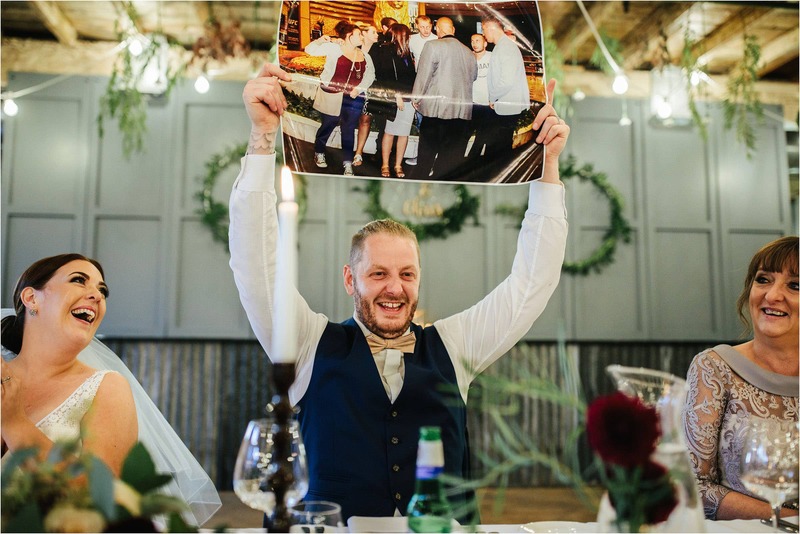 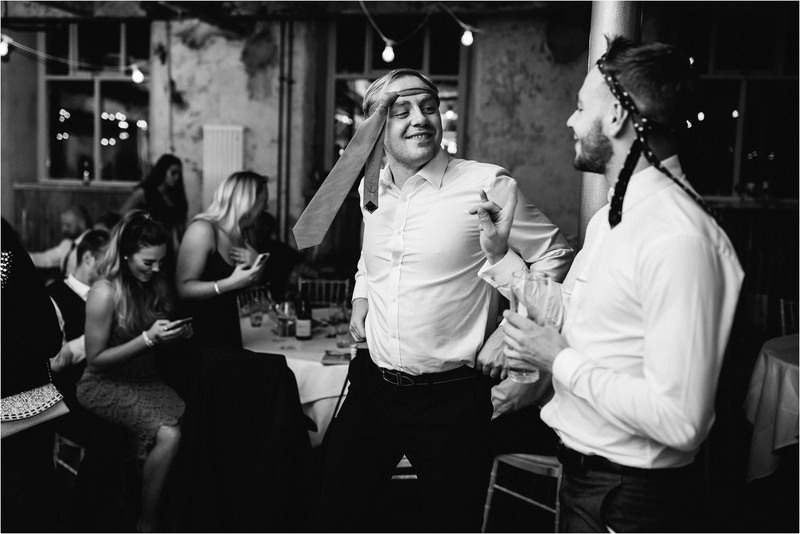 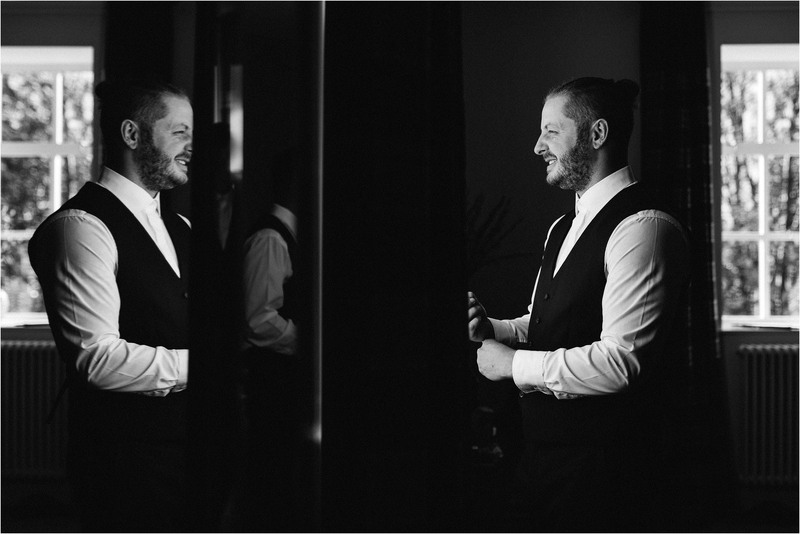 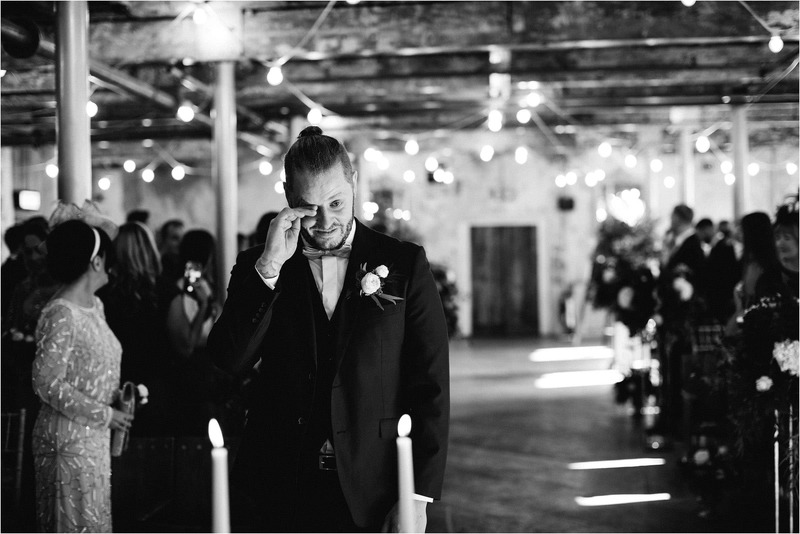 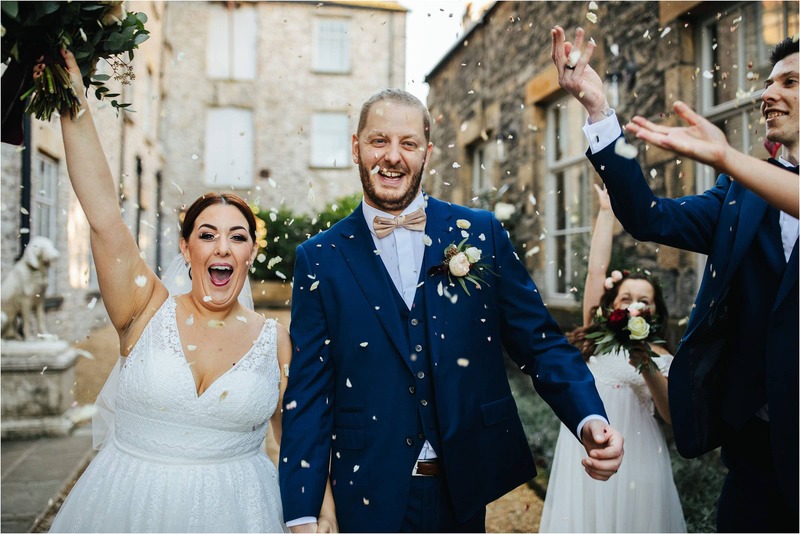 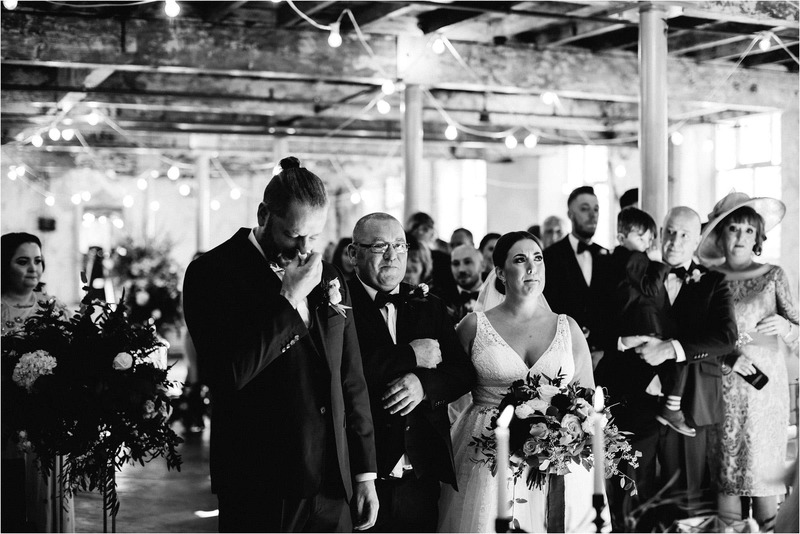 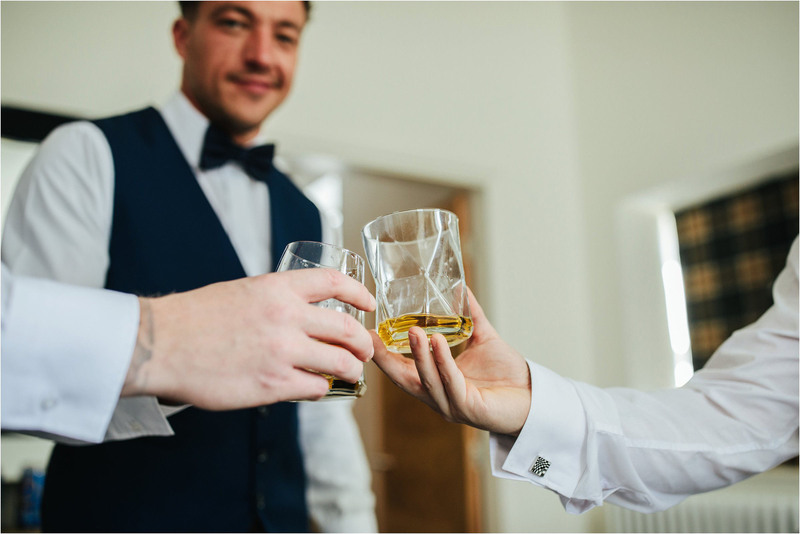 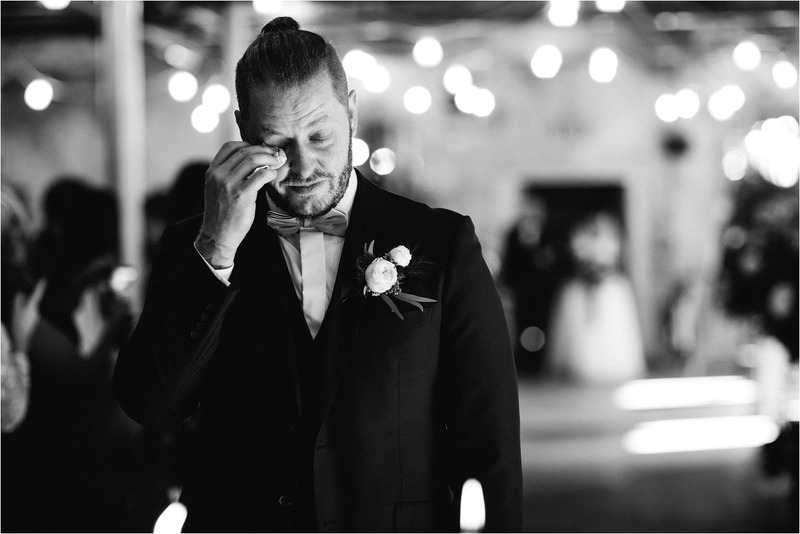 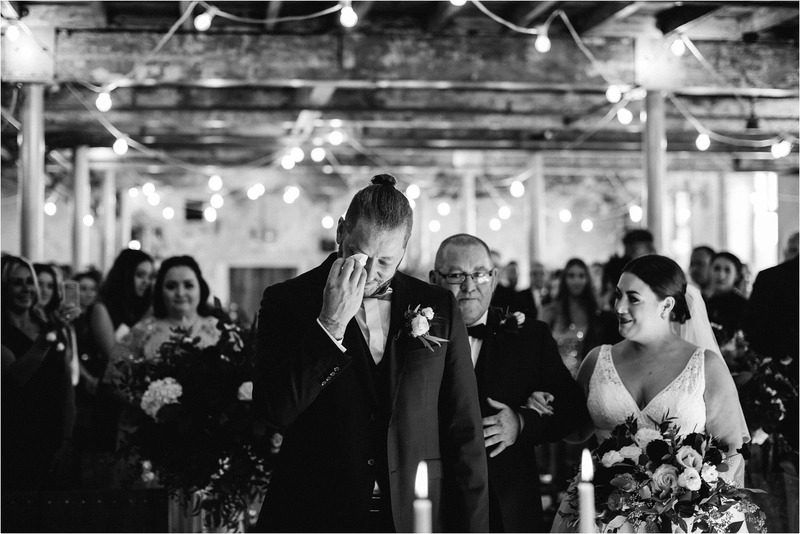 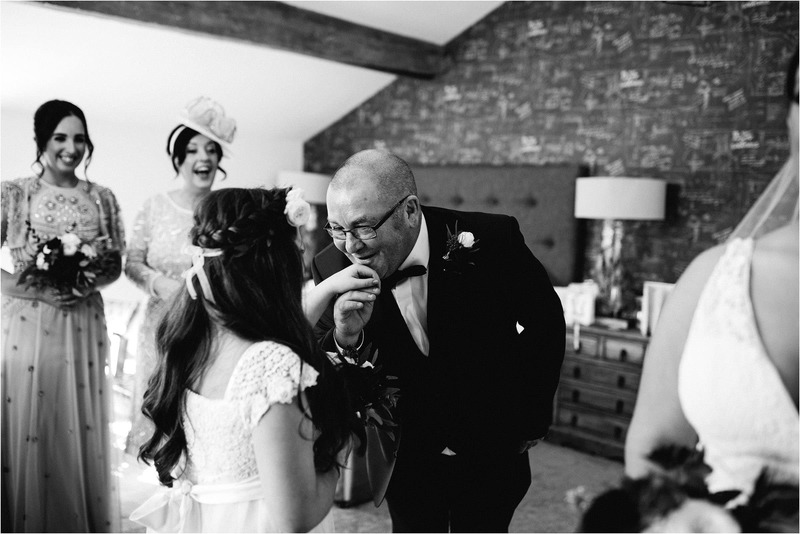 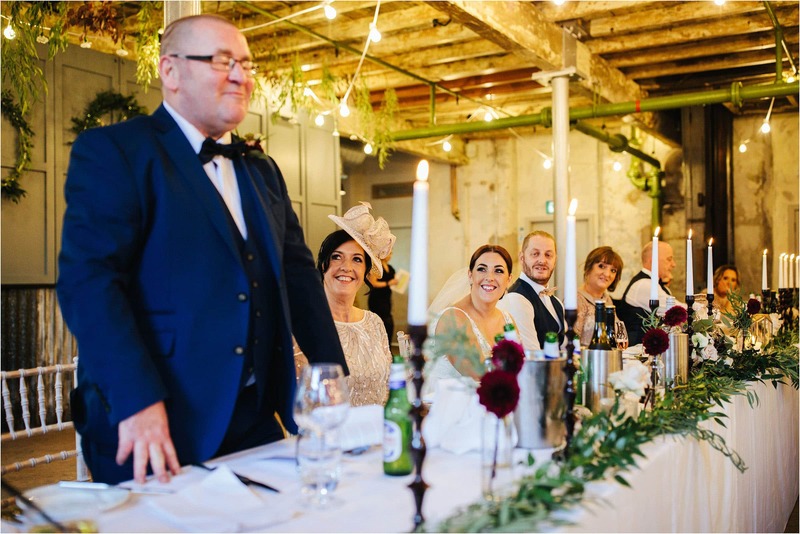 When the ceremony came you could see the nerves in Chris’ face, its rare that I see such emotion from a groom and I have to say, it was lovely to see just how much Kirsten and his family mean to him … top man Chris. 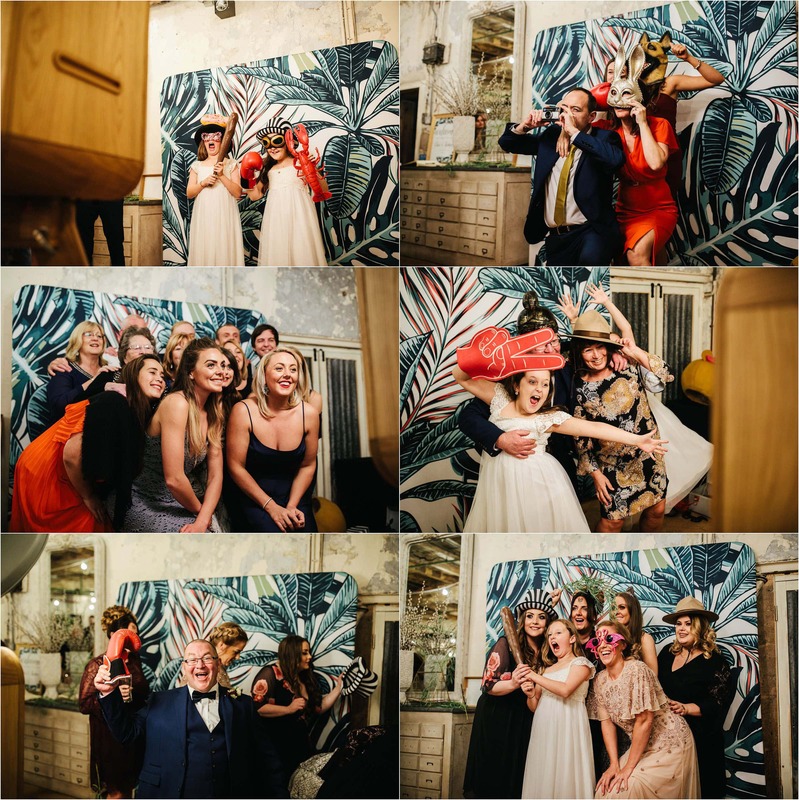 I had an absolutely brilliant time with these guys … such an awesome bunch of people to hang with. 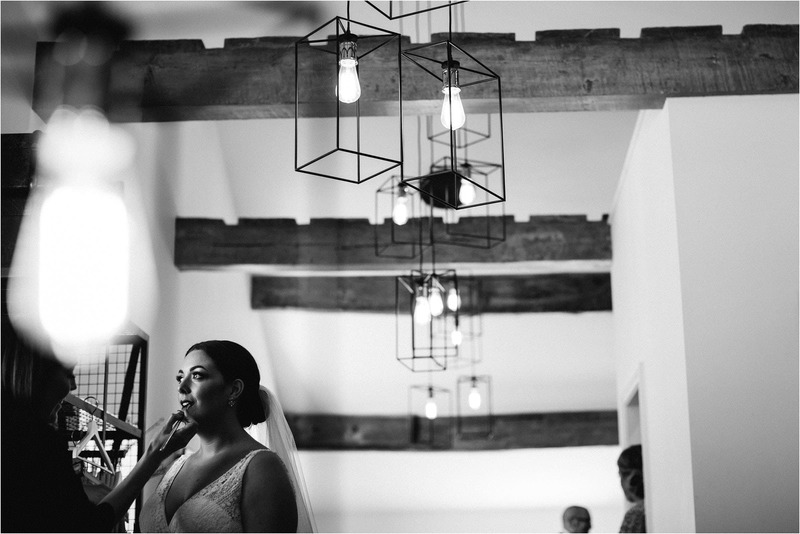 Just wanted to say, I love your artistic creativity, to me you are a master, you find some awesome angles….just love it.